Before you discover about top highly recommended Vietnam motorbike tours, it is important to get some basic information about motorcycle travel in order to prepare your best for your journey in Vietnam. With the highly experienced tour guides, you can enjoy riding in Vietnam so easily. You will not ride in the Ho Chi Minh (Hồ Chí Minh) City districts because it is relatively crazy, but expect to ride on a few road surfaces, some still under construction, some bumpy so you have to be focused on. To join in this tour, you should be a confident rider and can ride a manual motorcycle, and have a motorcycle license. In addition to riding gears as mentioned above, it is suggested to pack 3 sets of clothes, T-shirts, Shorts, Pants or jeans. Hiking-style gear is usually good because it packs light and small. In general, Vietnam’s temperature ranges from warm to hot. Nonetheless, because you will travel in the mountain areas, so it is suggested to pack a light jumper or a jacket, basic toiletries, proper sturdy foot wear and nothing with the thermal liners because they are too hot. You should also bring Thongs (flip flops) for the evening, sunscreen, hut and sunglasses, soaps and small shampoos. 3. What’s About Motorcycling Gear? It is recommended to bring your normal protective riding gear. The travel will generally provide wet weather gear and helmets for you. However, if you have a large head, then you should bring your own helmets to warrant a good fit. As often, the weather ranges from warm to hot but the mountains are a little bit cooler so bringing heavier jacket will be a good idea for you. Sturdy footwear, gloves, protective eye wear, and protective clothing are recommended. Besides, you should also pack some swim gears when visiting the beaches as well as some hotels offering pools. Be aware that flip flops and thongs are unsuitable for riding on some Vietnam motorbike tours. Bring sun creams, cameras, wallets, hydra pack, day pack, and passport. 4. What Cards/Money Should You Bring? In Vietnam, the currency is Vietnam Dong. 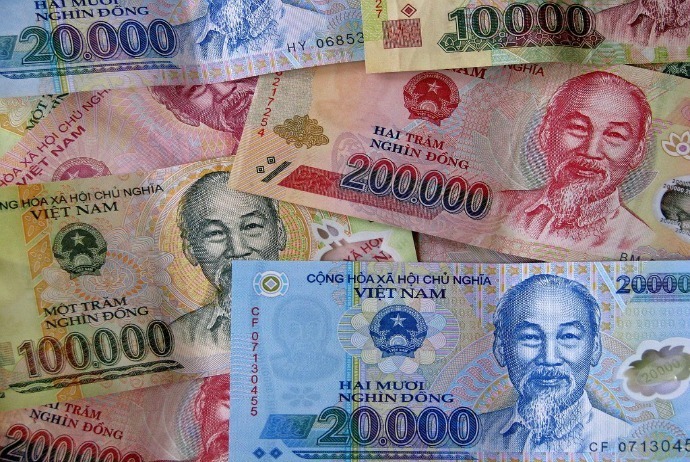 It is estimated that about 20,000VND equals to $1. Most currencies are easy to exchange in Vietnam. On those premium / special event tours, most expenses are normally covered for tourists, you just require a small amount for beer/dinner each day along with souvenir money if your want. There are a lot of ATM machines and all cards work fine. It is a good suggestion to let your current bank know that you are travelling. There are some credit card facilities at restaurants/large towns. Most places in Vietnam offer good to better currency exchange rates than your home country. 5. What’s About A Visa? The travel agent you choose could arrange your own visa, or you could use an online service to get a “pre approval” letter that you will present to the customs on arrival and pay a fee for a month visit. It is necessary to have a passport style photo to attach to the immigration form, which you will get at the counter. 6. Will Your Phone Work? Those phones on the global roaming can work well; however, a better idea is bringing an old unlocked phone and getting the local simcard. That way, the data and calls are relatively cheaper for you. 7. Do You Need Travel Insurance? Sure, all tourists would be made to not be protected for any OS Travels and Adventures. Make sure that the travel insurance that you take can cover you for the motorcycling OS. If your agent does not cover for riding your motorcycles, then think of taking advantage of WORLDCARE, QBE, WORLD NOMADS if you possess a full motorcycle license in your hometown. If you have any issue in regard to finding a proper Travel insurer. The tour lasts for 11 days. You will experience the best routes of Vietnam motorbike tours in the north area of Vietnam and on the Ho Chi Minh trail with a lot of attractions. This tour covers the majority of beautiful parts of the Northwest Vietnam and the most interesting and easiest part of historical trail from the capital of Vietnam – Hanoi to Hoi An. This is considered one of the most favorite Vietnam motorbike tours among tourists. Tour route: From Hanoi (Hà Nội) – Thac Ba (Thác Bà) Lake – Sapa (Sa Pa) – Than Uyen (Than Uyên) – Mu Cang Chai (Mù Cang Chải) – Mai Chau (Mai Châu) – Tan Ky (Tân Kỳ) – Phong Nha (Phong Nha) – Khe Sanh (Khe Sanh) – Vinh Moc (Vịnh Mốc) tunnels – Hue (Huế) – Hoi An (Hội An). At 8:30 am, you get on the bikes and ride up the motorbike to the North area of Vietnam. You can get out of the capital of Hanoi on the Red River dyke to escape from the busy traffic. The ride will cross the Red River Delta with a good view of rice fields among village. This ride covering 60 kilometers along the dyke road can be the significant highlight of the initial day motorbike tour in the North Vietnam. With the first day, you will get out of dyke road to head to Doan Hung (Đoan Hùng) Town for having lunch. 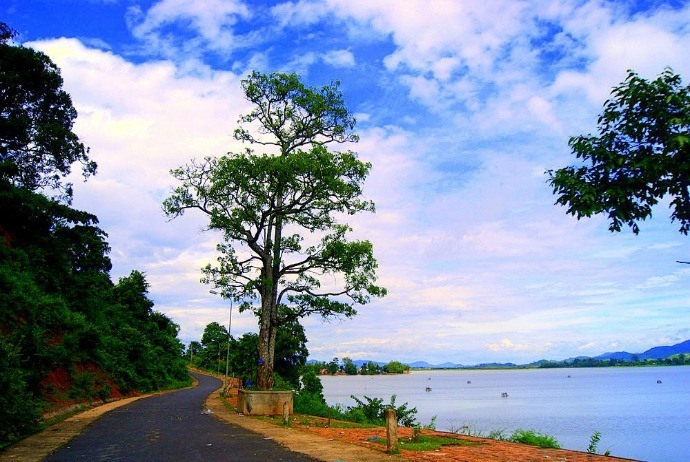 After your lunch, you could select to ride to Thac Bac (Thác Bạc) Lake on the dirt or smooth road. At about 3:30 pm, you will get to the lake, leave you bike at the village gathering Dzao people living nearby that lake and then enjoy a boat trip around Thac Bac (Thác Bạc) Lake. 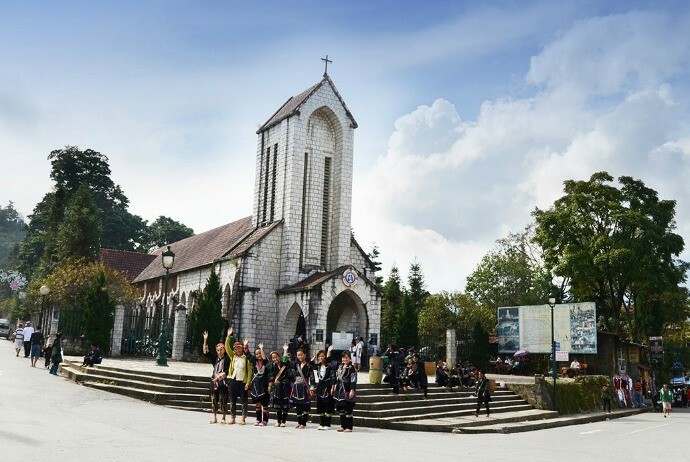 After having a breakfast with a local Dzao family, you will head your tour to Sapa. It takes about 210 kilometers to go from Thac Bac (Thác Bạc) to Sapa. The motorbike ride along Thac Bac Lake in the morning will promise to be among the best motorcycle tours in North Vietnam. Here, you will witness a good view of mountain before riding along the borderline with China. You then will stop to visit the borderline with China. After enjoying a cup of coffee at the border gate, enjoy the last 40 kilometer of riding a motorbike to Sapa. It may be a highlight among many Vietnam motorbike tours today as you will hit up to the level of about 1600 meters above the sea level where Sapa town situated. The motorbike ride will offer you a variety of chances to take great photos of colorful, beautiful hill tribes and terrace rice fields. At 5:00 pm or so, you will complete the motorbike tour to Sapa. It takes 110 kilometers from Sapa (Sa Pa) to Than Uyen (Than Uyên). In the morning, Sapa is very mysterious. You will have a short motorcycle tour along Muong Hoa (Mường Hoa) valley, among the nicest valley in the north area of Vietnam to contemplate some rustic villages where local ethnic people to learn about Vietnamese culture as well as enjoy beautiful scenery of green terrace fields. Then, you get back to the town of Sapa for having lunch. After the lunch, take another motorcycle ride cross O Qui Ho (Ô Qui Hồ) pass, which is one of the most imposing and longest passes of the north of the country. This ride will give you a great chance to see Hoang Lien (Hoàng Liên) Mountain range of which the Fanxipan peak reaching to the height of 3141 meters above the sea level. At 4:00 pm or so, you will be in Than Uyen (Than Uyên). The length of this ride is about 220 kilometers. It is a significantly long ride with many visits to hill tribe villages and stops for taking photos of breathtaking rice terrace fields and chatting with local hill tribes. This can be among the best Vietnam motorbike tours in the north of Vietnam. Despite it is long but not boring. You will be in Phu Yen (Phú Yên) at the end of the day at about 5:00 pm. Covering the distance of 150 kilometers, this route will give you a chance to enjoy a short motorcycle ride to Mai Chau (Mai Châu) valley after a hot noodle soup of breakfast. This is a highlight of this Vietnam motorbike tour. Get out of the town and you will ride along Da (Đà) River Lake; this ride reminds you of the motorbike tour on the coastal roads in the central area of Vietnam. This rout is nearly empty in between the lake and mountains. Cross the river and motorcycle up to Moc Chau (Mộc Châu) plateau where is well-known for cool temperature and green tea. You then will have lunch in Moc Chau (Mộc Châu), make a turn to the small mountain pass in order to ride down to Mai Chau (Mai Châu) valley in the afternoon. Finish your day at 4:30 pm and then you could spend the remained time to have a walk around peaceful villages of Thai (Thái) people. In the 6th day of the tour, you will begin the Ho Chi Minh (Hồ Chí Minh) trail motorbike tour. Then, you have a short and slow motorbike ride around the valley crossing a few villages of white Thai ethnic people along with rice paddies. After getting out of the valley, you will ride on a spectacular, small and paved trail along Ma River and crossing through bamboo forest till Cam Thuy (Cẩm Thuỷ) Town in which you will stop for a lunch. You then will begin the tour on historical Ho Chi Minh trails in the afternoon. Here you can ride on the easy and smooth part of the trail to Tan Ky (Tân Kỳ) Town. At 5:00 you will arrive at Tan Ky – which is a small town situated by the sides of Ho Chi Minh trail. After having a quick breakfast, you will continue the tour on Ho Chi Minh (Hồ Chí Minh) trail to Phong Nha & Ke Bang (Phong Nha – Kẻ Bàng) National Park. The ride in the morning is on the sealed, smooth roads that offers beautiful views of green tea farm and rice fields. You could have a stop to take photos and get to know more about how to make green tea and the role of tea drinking culture in Vietnam. The motorcycle ride in the late of the day may be the highlight of this tour. Phong Nha – Ke Bang (Phong Nha – Kẻ Bàng) National Park karst formation has evolved since 400 million years ago – the Paleozoic and is the oldest main karst in Asia. The karst landscape of the park is very complex with a lot of geographic features of significance. You will arrive at Phong Nha at 4:30 pm and if the weather and the time permit, you could have a quick boat trip along the river to go through famous caves. One of the highlight of this tour is this 8th day. You will be taken to Khe Sanh on the western Ho Chi Minh trail. This so-called hidden trail was not known by the US Army to bomb. This trail stretches through Phong Nha – Ke Bang (Phong Nha – Kẻ Bàng) National Park, about over 200km. You will see some other motorbikes yet a lot of beautiful mountain scenes. The ride can be one of the best Vietnam motorbike tours. 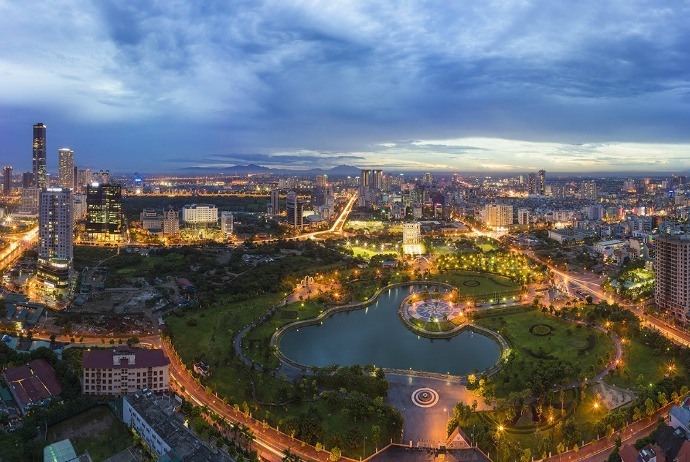 Particularly, after moving out of the park, you will have an opportunity to visit the former US Marine Base with Air base, tunnels, and an interesting Khe Sanh museum. At the last of the day, you will complete the enjoyable motorbike tour at 5:00 in Khe Sanh Town. After having a breakfast, you will leave Ho Chi Minh trail to head to another historical road – No.9, which is reckoned another border between the South and North area of Vietnam where occurred a lot of fighting between the Southern Vietnamese & American troops and the Northern communists. 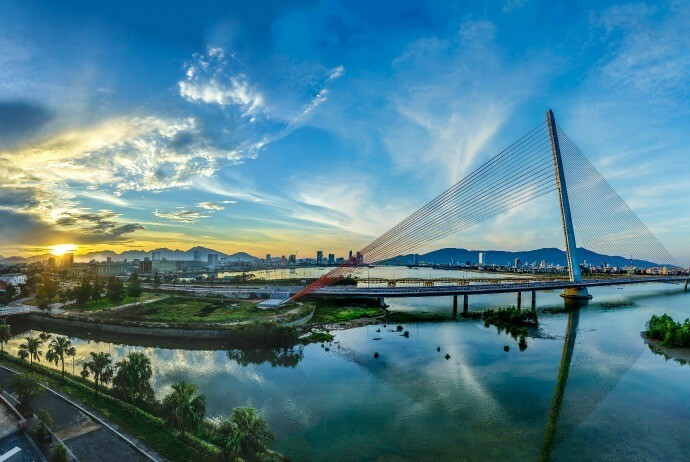 This day, you will be very busy because you will pay many visits to interesting historical sites like Hien Luong (Hiền Lương) Bridge – the symbol of the borderline between the South and North of Vietnam, Vinh Moc (Vịnh Mốc) tunnel, and the museum of the 17th parallel. After having lunch nearby tunnels, you will experience a short motorbike tour to the ancient town of Hue (Huế). As normal, you will arrive at Hue at about 5:00 pm. Hue, one of 3 capital cities of Vietnam during history, yet unlike others, Hue still remains the originally historical vestiges. After having a breakfast in hotel, you then have an enjoyable time of discovering the attractiveness of Hue (Huế) City. Depending on your mood, you could take a motorbike tour around Hue in order to see a few royal tombs of royal members (mainly Kings) along the famous Perfume River or have a bus tour around the city to check out some well-known attractions and enjoy the boat cruise along Perfume River (also known in Vietnamese as “Sông Hương”). Then, you will be back to the city for having lunch at a famous food street in Hue. Later, you take your spare time to relax at the beach or go shopping or have a walk around Hue city. In this experience, you can have dinner on your own. On the Perfume River’s northern bank, there are some relics containing palaces, which were built as arc defensive ramparts. With 11 kilometers in length, the valuable construction consists of over 100 architectural works which were reflected the personal life of Emperor as well as mandarins under Nguyen (Nguyễn) Dynasty. Located in the middle of hills on Perfume River’s southern bank, there are beautiful tombs of Nguyen Kings. Also, Hue (Huế) is an important center of Buddhism. In this city, there still exist tens of famous pagodas which were established over 300 years ago, and many temples as well as pagodas established in the early century. These establishments take a crucial role in making the city of Hue more attractive. In this 11th day of the tour, you will go through 170 km. What is interesting about the last day of the tour is that it will be completely different from those previous days. After moving out of Hue City, you will have an enjoyable motorbike ride along coastlines via some fishing villages as well as colorful fields of local tombs. The view is rather different from mountainous view along Ho Chi Minh trail, particularly the motorbike ride cross Hai Van (Hải Vân) Pass has to be one of the best Vietnam motorbike tours on Vietnamese coastline and this had better be the last highlight of this tour through the north area of Vietnam and the Ho Chi Minh (Hồ Chí Minh) trail. You will present in Danang (Đà Nẵng) at about 2:00 pm. It is up to you when choosing to stay in this coastal city or keep riding over 30km to Hoi An (Hội An) ancient town before saying goodbye to the staff of the tour. Being well-known for impressive mountain passes, imposing rocky mountain, nice rice terrace fields, and friendly, colorful local people, the north area of Vietnam is an interesting destination for nature lovers and motorcyclists. You could easily find Vietnam motorbike tours on any websites of tourism in Vietnam. Nonetheless, this motorcycle tour focuses on the north of Vietnam, and is one of the most collective designs of those experienced team of motorcycle tour expert in Vietnam, including a lot of the famous attractions in Northern Vietnam, like Mu Cang Chai (Mù Cang Chải), Mai Chau (Mai Châu) valley, Ha Giang – Dong Van (Hà Giang – Đồng Văn) Rock plateau, Sapa, and beautiful Thac Ba (Thác Bà) lake as well as Ba Be (Ba Bể) Lake. Particularly, the route of this tour is fun, unique and safe for motorists. Covering a distance of 170 kilometers, the first day of this tour will start from 9 am. You hit the road down to the south west of Hanoi (Hà Nội). After riding one hour, you will reach to a mountainous region where the motorcycle tour is enjoyable with the back countryside road riding, meeting smiling locals and seeing green nature. After having lunch in the province of Hoa Binh (Hoà Bình), you then will have an opportunity to have a motorbike riding tour in the North area of Vietnam when the ride is on the mountain back roads with mountainous green view. 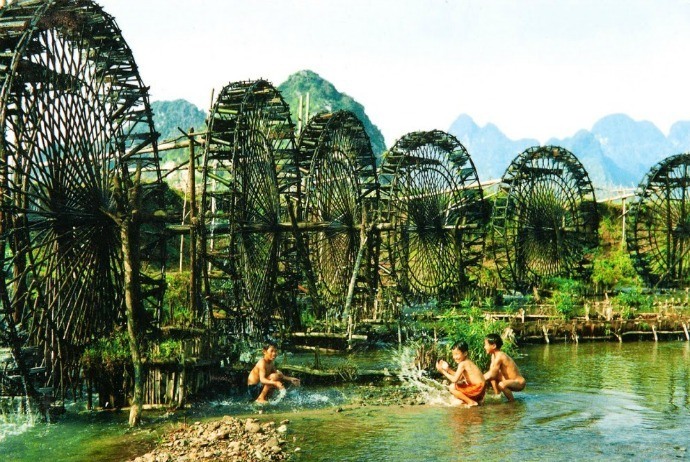 Particularly, the ride on Da (Đà) River’s bank before going down to Mai Chau (Mai Châu) is considered one of the best parts of the North Vietnam motorcycle travel. As normal schedule, you will arrive at Mai Chau (Mai Châu) at 5:00 pm. You will continue the motorcycle touring in the north area of Vietnam to Phu Yen. The total distance from Mai Chau (Mai Châu) to Phu Yen (Phú Yên) is 150 kilometers. Though this is a short ride, it still offers a lot of stops for taking pictures of landscapes and visiting local hill tribe villages. Before heading to Moc Chau (Mộc Châu) plateau, the tour guide will give you the opportunities to have short off-road motorcycle ride via several rustic villages or experience a smooth ride on the quiet and old French road offering a wonderful view of mountain. You then will have lunch in Moc Chau (Mộc Châu) and go down all the way to Da (Đà) River, cross the river to get Phu Yen (Phú Yên) town after having a joyful motorcycle tour on the wonderful riverside. The ride is short but great; it will remind you of the motorcycle tour on Vietnam’s coastlines. You will arrive Phu Yen (Phú Yên) at 4:30 pm or so. This ride is definitely the highlight of the tour in North Vietnam. With this 210 km ride, you will achieve all what you can expect on motorcycle touring in the country. Importantly, you will get a chance to see beautiful, picturesque green terrace fields, meet and learn about different traditions among local hill tribes and take a free ride on winding quiet passes. The ride will finish at 5:00 pm in the town of Than Uyen (Than Uyên). The 110 km motorcycle ride will start after you have a breakfast. Then, take a ride to Sapa along with O Qui Ho (Ô Qui Hồ) pass, which is one of the most beautiful and longest passes in the north area of Vietnam. On the initial 60 kilometers, you will experience an easy ride on the smooth road via a lot of villages as well as green tea farms, while one the last 50 kilometers heading to Sapa, you will experience the best of short Vietnam motorbike tours in the north area of Vietnam due to of special feeling that you will have upon riding up to the heaven gate that is about 200 meters above the sea level. You will be in Sapa at the time of having lunch. In the afternoon, you have a short tour around the town of Sapa by motorcycle or foot or just simply take the half day of relaxation and save your energy for upcoming rides. It takes about 160 kilometers to travel from Sapa to Bac Ha (Bắc Hà) in this 5th day of the tour. After you say goodbye to Sapa, you will continue the motorcycle tour to the Northeast area of Vietnam – Bac Ha (Bắc Hà). Be on your bike and drop down hill on the side of Hoang Lien (Hoàng Liên) mountain range. Also, it offers a wonderful view of mountain with green terrace rice fields. With this ride, you will experience sealed roads along the borderline with China through rustic villages and nice terrace fields. In the 5th day, your ride will stop at the little Bac Ha town at about 4:00 pm. This will not be like any other riding days before. The ride from Bac Ha (Bắc Hà) to Ha Giang (Hà Giang) will allow you to enjoy different beauty of Vietnam and have fun with riding on bumpy and dirt roads. After having lunch in a certain rustic eater in Xin Man (Xín Mần), you then will have a tour along a winding river with spectacular view of green rice terrace fields in Hoang Su Phi. In late afternoon, you will arrive at Ha Giang (Hà Giang). Ha Giang (Hà Giang) is always the best option for most Vietnam motorbike tours thanks to its famous plateau of rock with friendly and colorful people living around. Dong Van (Đồng Văn) global Geo-park in Ha Giang (Hà Giang) is an attractive destination for tourists and motorcyclists. You could see different beauties in various times as well as seasons. This ride despite is short but offers many stops for taking pictures and visiting local hill tribes. Touring around with a knowledgeable and experienced tour guide team, you will get much more information about the culture and tradition of this land. You will finish your ride in Dong Van (Đồng Văn) at 5:00 pm or so. After having a breakfast, you could have a walk around the ancient town of Dong Van (Đồng Văn), and try a delicious local coffee or have a longer walk up to the hills nearby the town where the French established the bastions upon during the war. The ride is short but still enjoyable. You can enjoy the wild beauty of rack plateaus. Especially, the motorbike tour from Dong Van (Đồng Văn) to Bao Lac (Bảo Lạc) cross the Ma Pi Leng (Mã Pí Lèng) – among the nicest mountain passes in the north area of Vietnam – which offers a great view of rocky mountain. At about 4:30 pm, you will end your enjoyable tour in Dong Van (Đồng Văn) Global Geo-Park. 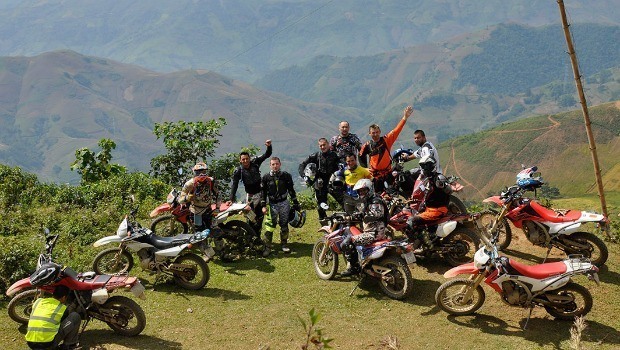 One of off-road Vieetnam motorbike tours is the tour from Bao Lac (Bảo Lạc) to Ba Be (Ba Bể) Lake. After having a breakfast, you ride along Gam (Gâm) River to escape the Bao Lac (Bảo Lạc) town. During the ride, you will ride on the small winding roads between the mountain and the river and through some rustic villages of hill tribes in which local children get excited to wave their own hands to you when you ride across their land. 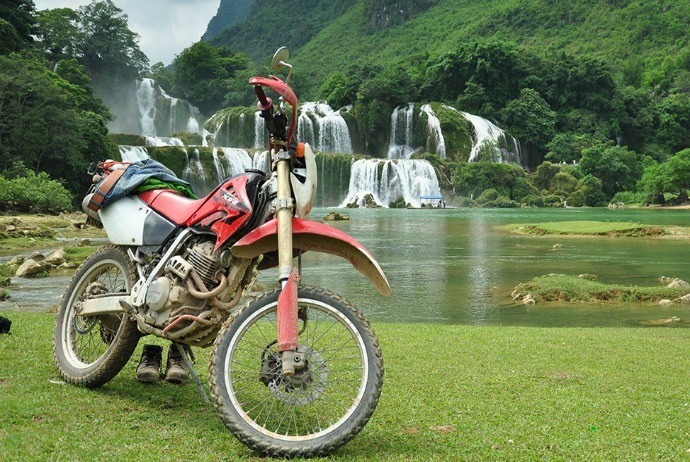 Over one hour of riding on sealed roads, the tour guide will guide you to one of the most impressive off-road motorcycle tours of Vietnam, it is a long off-road motorcycle ride crossing many rustic villages of hill tribes and through a few streams along with bridges. The tour to Ba Be (Ba Bể) Lake will finish with a bout tour around the Ba Be Lake after having lunch. In this day, you will enjoy home stay with a Tay (Tày) family. 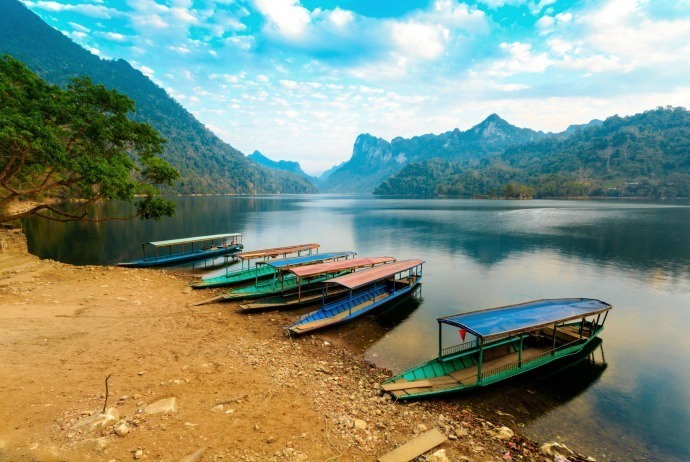 This is another enjoyable quick Vietnam motorcycle tour to Thac Ba (Thác Bà) Lake, which is one of the most beautiful and largest lakes available in Vietnam. After saying goodbye to Tay(Tày) family, you continue your tour in the north Vietnam through ATK Dinh Hoa (Định Hoá) in which you could stop to visit a few historical sites particularly the site where the Uncle Ho (Hồ) who found Vietnam communist party in 1930. 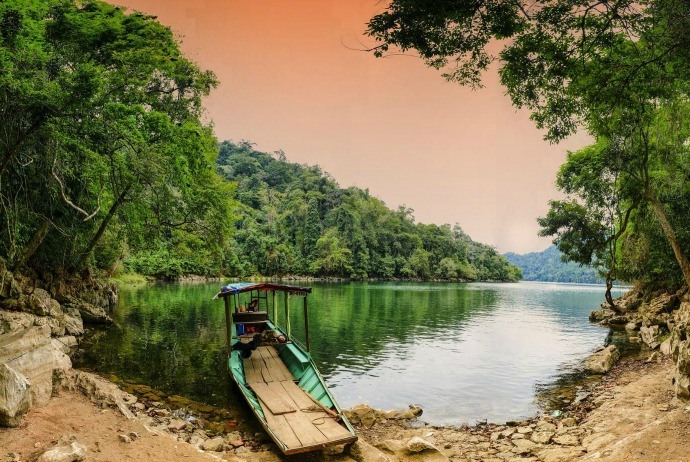 You will end the motorcycle ride at a quiet village of Dzao people located on Thac Ba (Thác Bà) Lake’s bank and leave your bike in the village to get one more boat tour around the lake in order to experience a different beauty of this man-made lake. The final riding in this tour will start from 8:00 am. You will be taken on the nicest and safest roads back to the capital of Vietnam – Hanoi (Hà Nội), even you could get some off-road ride before going back to the busy city of Hanoi. You will be in Hanoi and finish the wonderful North Vietnam motorcycle tour before the rush hour. Among Vietnam motorbike tours, this is one of the unique ones, which lasts for 4 days. Within these days, the experienced tour guide team will take you far away from the bustling of Hanoi by riding motorcycle on the back-roads via countryside to the mountainous region where you could find difficult in seeing other tourists yet easily to meet smiling faces of friendly hill tribes or breathtaking view of nature and mountain. The tour, to be honest, does not offer well-known attractions yet it really is a great short motorcycle ride to enjoy Vietnam’s hidden beauty. The valley of Mai Chau (Mai Châu) may be the most well-known attraction in this ride. 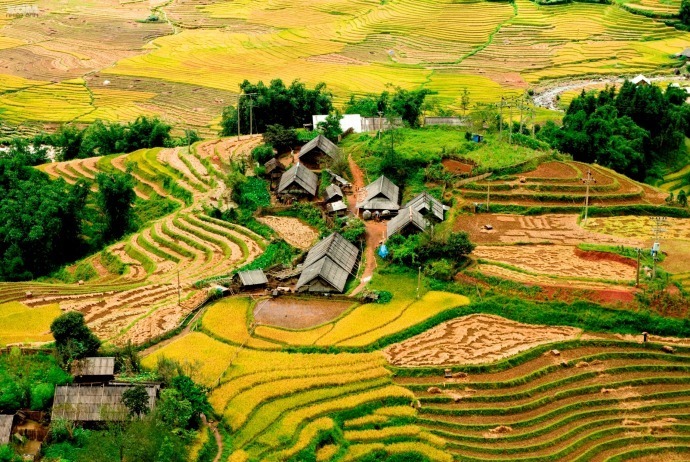 The organizers of this tour promises to supply a unique route to the place offering more beautiful view of rural area and more enjoyable ride on the back roads rather than riding on the normal highway No.6 to Mai Chau (Mai Châu) valley. It has to be the significant highlight of this tour. After taking a walk around the nice village of Thai (Thái) people within the valley, you will get back to your bike and continue the motorcycle touring in the north area of Vietnam. The distance of 150 kilometers despites sounds short to ride, it is not. This tour to Phu Yen could not be finished early as the ride is on winding passes in which bikers could stop for taking photos on every meter on the road. You will cross Moc Chau (Mộc Châu) plateau in which you could have a short off-road motorcycle ride via green tea fields as well as large garden of peach and plum trees. After having lunch in Moc Chau (Mộc Châu), you will keep riding through mountain passes and along Da (Đà) River. You will arrive at Phu Yen (Phú Yên) at 4:30 pm. It is one of short rides in the north area of Vietnam but it also a highlight of this 4-day tour. You will ride up to the north area of Vietnam on a winding road via beautiful tea fields. After that, you have lunch in Yen Bai (Yên Bái) town. After having lunch, you hit the road down to Thac Ba (Thác Bà) Lake and arrive at the road at 3:00 pm. Then, leave your motorbike at a village of Dzao people situated on the lake bank, and then experience a boat trip on Thac Ba (Thác Bà) Lake. In the last day of the tour, you will start at 8:00 am after having a quick breakfast with Dzao people. Basing on your own requests, the tour guide could do a little off-road around the village prior to coming back to Hanoi or slowly ride back on back-roads via green tea fields, rustic villages as well as along the river bank. As the schedule, you will be back to the capital of Hanoi (Hà Nội) at approximately 4:00 pm and enjoy an enjoyable tour in North Vietnam before the rush hours. 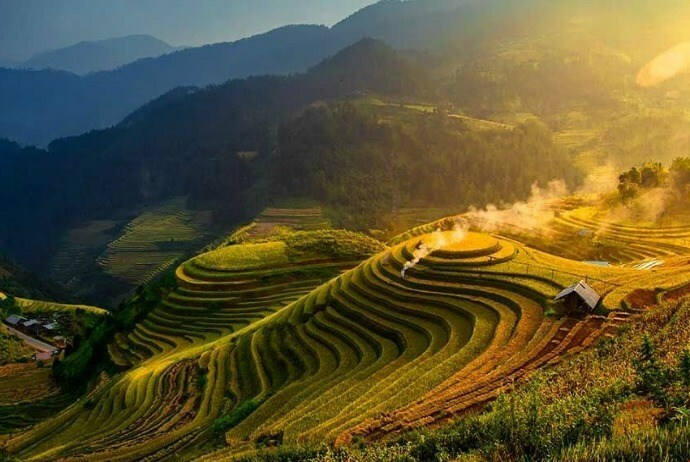 In reality, the northwest area of Vietnam is not only renowned for the amazing view of green terrace fields or picturesque scenery but also those hidden lands of Vietnamese culture. Motorbike touring in this area of Vietnam is a great choice and always one of the best in the list of Vietnam motorbike tours. It takes about 170 kilometers to travel from Hanoi (Hà Nội) to Mai Chau (Mai Châu). The tour starts from the western Hanoi’s outskirts at about 8:30 am. After riding for 45 minutes, you will be in rural back-roads through a few rural villages situating between rice fields and hills. You then have lunch in Yen Lac (Yên Lạc) belonged to Hoa Binh (Hoà Bình) province. The ride after your lunch will promise to be among the best northern Vietnam motorbike tours. With this tour, you will be taken on the safer and better roads with beautiful views. The whole of this ride is on mountain back-roads with nice views of mountain, river as well as cute small houses on stilts. As scheduled, you will in Mai Chau (Mai Châu) valley at about 5:00 pm. At night, you will home stay with local Thai people. After having a local breakfast with the host, you will take a short walk around the villages of Thai (Thái) people living on stilted houses. Get back to your bike and keep touring North Vietnam up the town of Moc Chau (Mộc Châu). The tour guide will guide you to avoid the highway No.6, instead you hit the small mountain road built by the French. This road is nearly empty and offers beautiful view of mountain. The short ride on this hidden road should be the highlight of the tour. You then will have lunch in Moc Chau (Mộc Châu) and hit down the way to Da (Đà) River. After crossing the lake, you will take another great motorcycle ride along this river, which promises to be the same as the coastal road tour. In t he early afternoon, you will arrive at Phu Yen (Phú Yên) and if you are not tired, you could keep riding around Phu Yen (Phú Yên) valley via rice fields and villages. Promisingly, it will give you a joyful off-road motorbike ride. The 210 km ride will give you a chance to enjoy a lot of unique of Vietnam. The first is “pho”, one of must-try dishes in Vietnam for breakfast. 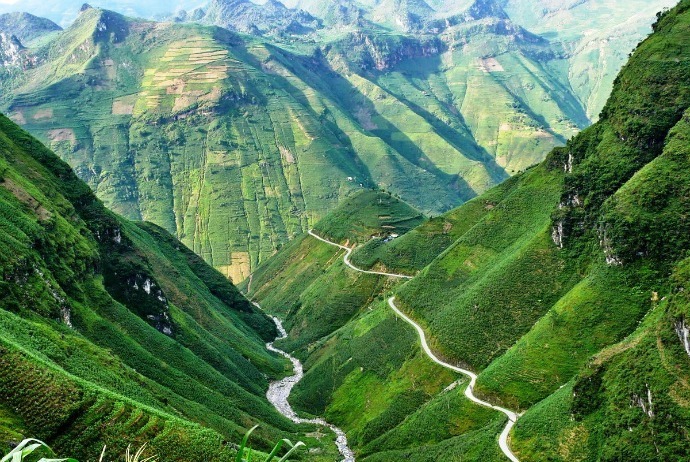 Start at 8:00 am, you will cross a few of the most beautiful and longest mountain passes in the north area of Vietnam, giving you amazing views of mountain as well as terrace fields. This ride will be the highlight of the tour. The road is sealed and smooth but the scenery along with rustic villages of hill tribes along the way will surely make you stop every meter on the road. It is said that this is considered as among the best Vietnam motorbike tours. You will end the day at a hotel in Than Uyen (Than Uyên) at about 5:00 pm. This 110 km motorcycle ride to Sapa, one of the highlights of this northwestern Vietnam motorbike tour, will give you a chance to motorcycle up on the O Qui Ho (Ô Qui Hồ) pass which is one of the nicest and longest passes in the north area of Vietnam. You will reach the level of 1,600 meters above the sea level where you could see Sapa in cloud at noon time, also called as the town in cloud. In the afternoon, you will havea short tour around Sapa to visit some rustic villages of the Tay (Tày), the Zay and the H’mong people. 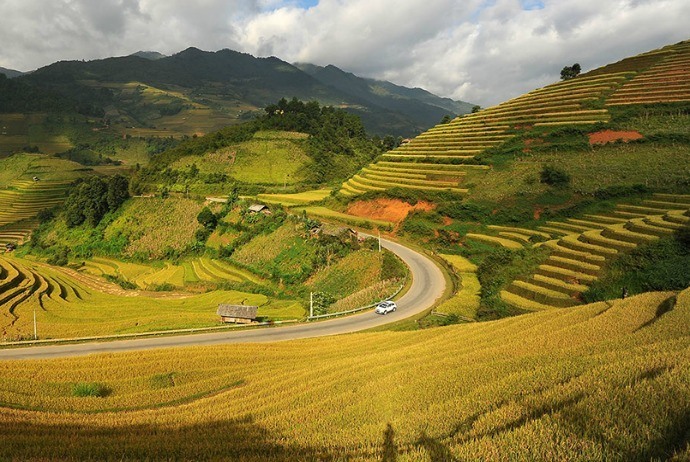 The Sapa motorcycle ride along Muong Hoa (Mường Hoa) valley will promise to give you as a rider a lot of photos of picturesque sceneries of the most beautiful valley in the north area of Vietnam. You will be back to your hotel in the town of Sapa in the late afternoon. In the 5th day of the tour, you will start early than in previous ones. Back on your bike at about 8:00 am and enjoy an interesting ride on small winding mountain roads via a few rural villages situated on the mountain with green terrace surrounded. 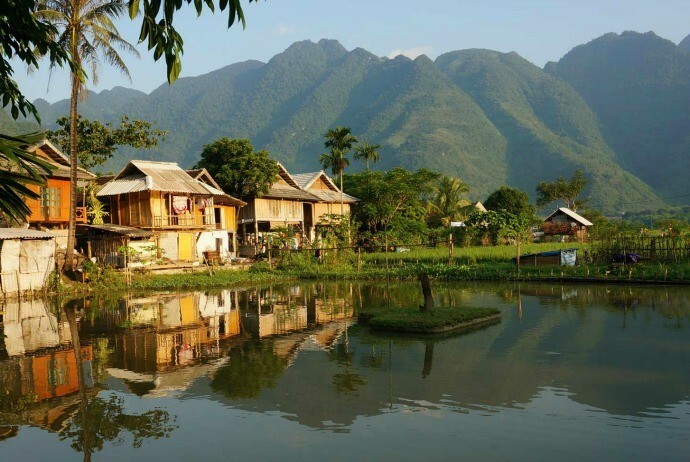 The trip to Thac Ba (Thác Bà) Lake will give you a great opportunity to see the neighbor country of Vietnam – China – and take a short ride along the borderline. After having lunch in Pho Rang (Phố Ràng), you will take a turn to the back-roads via lovely villages and nice rice fields in between palm tree hills. The last 80 kilometer ride should be one of the most memorable rides in this tour, in particular, and Vietnam motorbike tours, in general. You then will arrive at the peaceful village of Dzao people situated nearby Thac Ba (Thác Bà) lake bank, then drop your bike in the village and have a good boat trip around this lake for approximately one hour. With this tour, the tour organizers warrant that on the road back to Hanoi, it is much less busier than other organizers’ roads. The other organizers could copy the text in introductions but could not copy the good road in reality if they just stay in the office with computers. Basing on your own requests, the organizers of this tour could offer a quick off-road ride nearby Thac Ba (Thác Bà) Lake. Despite you have no choice when it comes to the road back to Hanoi, you totally can ride slowly with a lot of local scooters back to the city-centered hotel in Hanoi (Hà Nội). You will complete the tour at approximately 4:00 pm. This 6 day tour, among many other Vietnam motorbike tours, is reckoned as one of the most recommended tours in Vietnam. The tour will take you to the most remote regions in the north area of Vietnam, offer imposing views of rocky mountain in Ha Giang (Hà Giang) and shows you beautiful lakes in northern area of Vietnam. Tour route: Ba Be (Ba Bể) Lake – Ba Be (Ba Bể) National Park – Bao Lac (Bảo Lạc) – Meo Vac (Mèo Vạc) – Dong Van (Đồng Văn) – Ha Giang (Hà Giang) – Thac Ba (Thác Bà) Lake – Vu Linh (Vũ Linh). Start your first day of the tour at about 8 am. It is a big 240 km ride, and takes a half day to get away from the hustle and bustle of the city till you get to Cho Chu town in which you will have lunch there. In the afternoon, take a motorcycle ride to Ba Be (Ba Bể) National Park. This ride will be enjoyable for you because it is almost on the backroads with less traffic and gives you a lot of chances to see green mountains. At 4 pm, you will arrive at Pac Ngoi (Pác Ngòi), which is a nice village of Tay (Tày) people situated peacefully at the side of the Ba Be (Ba Bể) Lake. Then, drop your bike there to enjoy the peace of the region with cold beer. In terms of geography, Ba Be (Ba Bể) Lake has a water surface area of about 500 ha, with about 1km in width and 8 km in length. 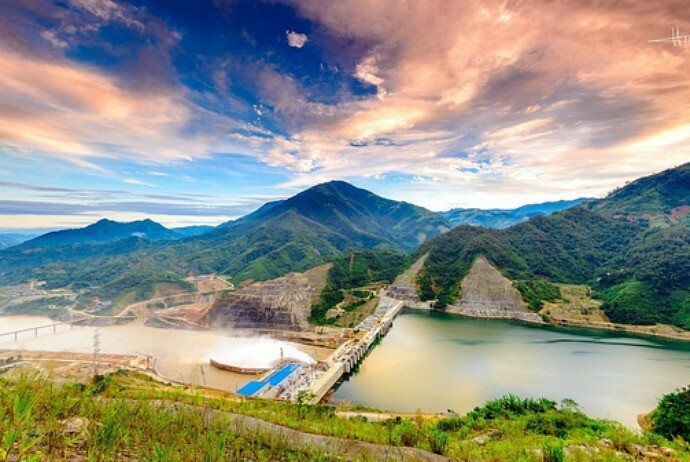 It is also known as Vietnam’s biggest natural lake located in Ba Be (Ba Bể) district – carster terrain pertaining to the low-lying lands of the North Vietnam that raise mass. The raising mass was created by the destructing process of South East Asia continental mass at the late of Cambri era, about 250 million years ago. Because of the special constitution of geography, this Lake has a special and original feature in compared with other worldwide karster lake. While Ba Be (Ba Bể) Lake features permanent full-water, other worldwide karster lakes are only with one-season water. The tour day will start from early morning and takes you through 130 kilometers. Take a short walk to the lake’s pier and then take a boat trip around Ba Be Lake, also called as Halong (Hạ Long) Bay on land. Next, after you relax on that boat trip, you continue the motorcycle tour up to Bao Lac (Bảo Lạc). Start your day with the short motorcycle ride via small corners of Ba Be (Ba Bể) National park. Have lunch after getting out of this park. After that, get off-road motorcycle tour in Vietnam. With a lot of fun offered when riding cross streams and bamboo bridges, this warrants you have one of the most impressive experiences in this tour. You will arrive at Bao Lac (Bảo Lạc) town at approximately 5 pm. The 3rd day is an enjoyable and relaxing riding day after 2 busy days of the long ride, challenges of off-road motorcycle ride and boat ride. Your day will start at 9 am; you ride slowly along Gam (Gâm) River to contemplate green mountains. When you arrive at Meo Vac (Mèo Vạc), lunch will be served. After having lunch, you ride cross the Ma Pi Leng pass, which is one of the most beautiful and longest mountain passes in the North area of Vietnam. You could have many stops for taking pictures Dong Van (Đồng Văn) Rock Plateau Global Geo-Park, and talk with local ethnic minorities to get to know more about their way of life. 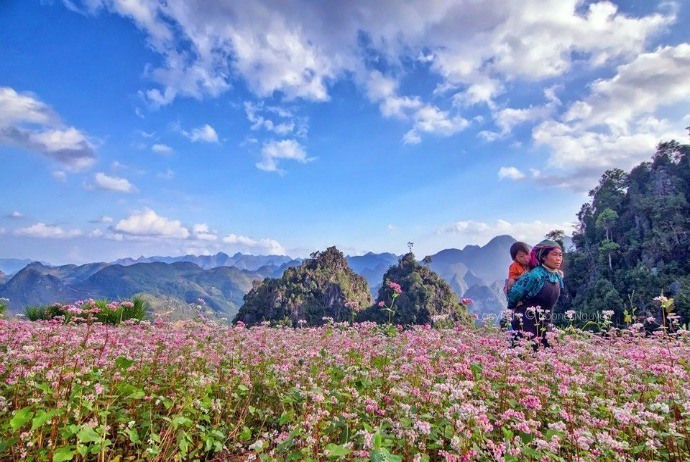 The motorcycle tour to Ha Giang (Hà Giang) in this day must be another great highlight of the trip because you will visit one of the most remote lands in the country where local hill tribes are known as the poorest yet could be the happiest. In addition, this Northern Vietnam motorbike ride will offer imposing scenes of Dong Van (Đồng Văn) Global Geo-Park, the “heaven gate” in Quan Ba (Quản Bạ) and the King Vuong (Vương) Palace in Dong Van. For a lot of international and domestic bikers, this seems to be the best motorcycle tours in northern Vietnam with a wide range of amazing and interesting things they could see in every meter on the road. Later, you will arrive at Ha Giang (Hà Giang) town in the late afternoon. You could choose either stay in a hotel located there or stay with Tay (Tày) people in the stilt house. At about 8 am, you will start your tour to Thac Ba (Thác Bà) Lake. Ride down on the highway No.2 about 6 kilometers before taking a ride on the back-roads via some large paddy fields and several rustic villages of colorful hill tribes. Particularly, when you get closer to the lake, the ride along the bank of this lake should be another highlight of the motorcycle tour in the north area of Vietnam. You will be at the Vu Linh village of Dzao people at about 3:30 pm, leave the bike in their house and take a boat trip on Thac Ba Lake (Thác Bà) – which is another Halong (Hạ Long) Bay on mountainous area. Created in 1970, Thac Ba (Thác Bà) Lake covers an area of 23.400 hectares with 1,331 islands plus with hills with the diverse ecological environments. The lake water is clear and blue, and impressively imprinted with the reflection of surrounding ancient forest. It is known as another Halong (Hạ Long) Bay in Vietnam, and is perfect for relaxing and having rest after a long tour in Vietnam. The last day of this tour will take you from Thac Ba (Thác Bà) Lake back to the capital of Hanoi. The tour guide will take you back to Hanoi on 2 road options. You could select to ride on one of them basing on your own mood. With this option, you will ride your bike southeast to the province of Tuyen Quang (Tuyên Quang) cross green tea fields, join the highway to go down to Hanoi (Hà Nội). You will arrive at Hanoi (Hà Nội) at about 4 pm. Road 2: Off-road Vietnam motorcycle tour to Hanoi: about 190km. This option will take you on more rugged and longer roads down to Doan Hung (Đoan Hùng) town. The ride is 80 km but offers you about 80% off-road motorcycle ride. Despite it is a short ride, it can be unforgettable off-road motorcycle ride in the country. From Doan Hung (Đoan Hùng), you ride on back-roads along the Red River dike down to the city center of Hanoi. Finish your tour of 6 days at about 5 pm. Lasting for 4 days, the tour from Hoi An (Hội An) to Nha Trang will offer you memorable experiences. Instead of taking noisy train or slowly buses from Hoi An (Hội An) to Nha Trang beaches, you could enjoy a motorbike tour lasting for 4 days. This ride is mainly on the back-roads, Ho Chi Minh (Hồ Chí Minh) trail through Central Highlands of Vietnam and on a few beautiful coastal roads that are nearby Nha Trang. 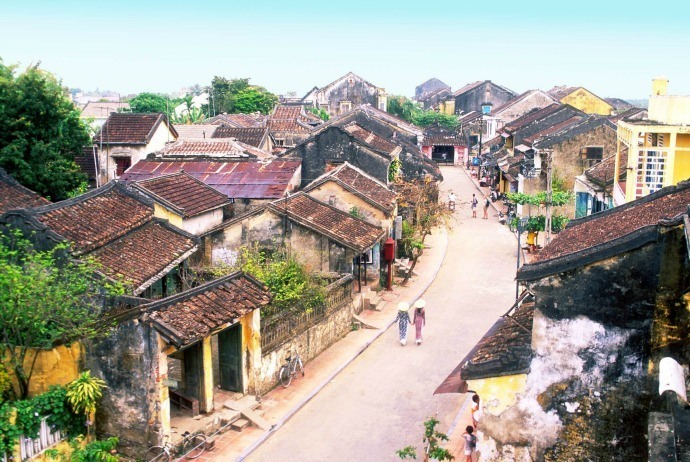 The tour could be begun from the city of Danang (Đà Nẵng) – one of famous tourist destinations that is nearby Hoi An (Hội An). You will leave the coastal land to go to the west on rugged roads via rural areas where you could see local people working on farms, making incense sticks, rice paper… Then, you can pay a visit to My Son (Mỹ Sơn) Holly Land in which you can learn about the culture, history of Vietnam as well as Cham people. After taking a visit to a few Cham (Chăm) towers, you get back to your bike and enjoy the tour Kontum. This ride will allow you to have many chances to visit historical sites as well as nice villages of colorful hill tribes. As the schedule, you will arrive at Kon Tum at 5:00 pm and stay in a selected hotel. The plan of the 2nd day is to take you ride about 180 km from Kon Tum to Buon Me Thuot (Buôn Mê Thuột). After having a breakfast in your hotel, motorcycle on Ho Chi Minh trail via central highlands in order to enjoy wonderful scenery of the nature and see more ethnic people in the area like Ba Na, Ktu, Ede people in order to get to know more about their interesting tradition and unique culture. 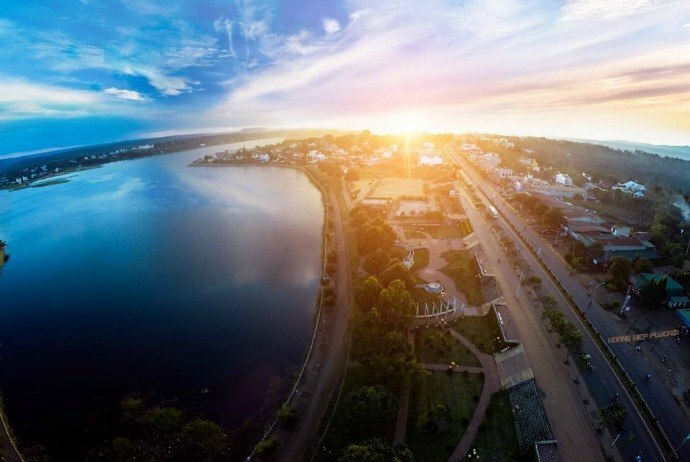 Particularly, you will visit a so-called “the eye of central highlands” – the Sea lake, aka Bien Ho (Biển Hồ) in Vietnamese, located in Pleiku. This Ho Chi Minh trail motorcycle tour is the highlight of the trip, to be honest. You will complete your ride today at 5:00 pm or so in Buon Me Thuot (Buôn Mê Thuột) town where you will stay overnight in a chosen hotel. Vietnam’s central highlands are well-known for coffee and rubber plantation. This highland makes Vietnam become the 2nd biggest exporter of coffee worldwide. Today, this short motorbike tour will show you large coffee fields and give you an opportunity to discover how to process and have make a good cup of real coffee. 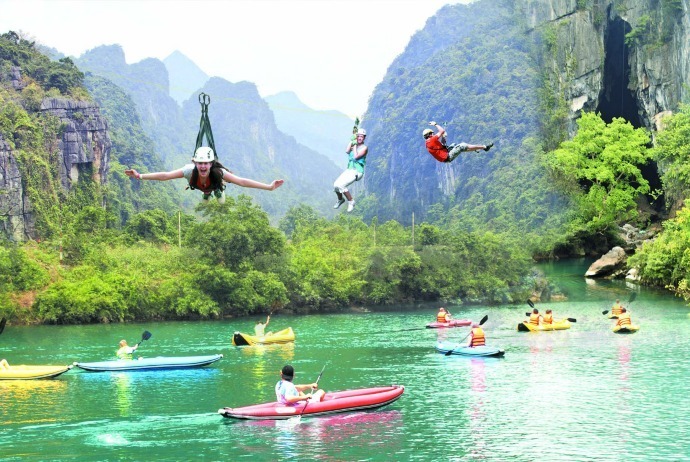 In addition, you also have a chance to visit Dray Sap and Dray Nur waterfalls (also known as thác Chồng – thác Vợ), which is the biggest one countrywide where tourists could swim at the footer-lake under the waterfalls. Later, get back to your bike and follow the tour guide to have a ride on the winding back-roads via peaceful villages of ethnic people. This motorbike ride is short but joyful that will end at the Lak Lake at 4:30 pm. You then will stay in a hotel with beautiful lake view. After having an early breakfast in the hotel that you could ride boat or elephant to cross the Lake lake. After crossing the lake, you will pay a visit to the villages of M’nong people before leaving the Ho Chi Minh (Hồ Chí Minh) trail to hit down the road to get the coast. Along the way, you will have more stops to visit some hill tribes or take photos of beautiful nature. The short tour from Hoi An (Hội An) to Nha Trang will complete at about 4:30pm in Nha Trang city. 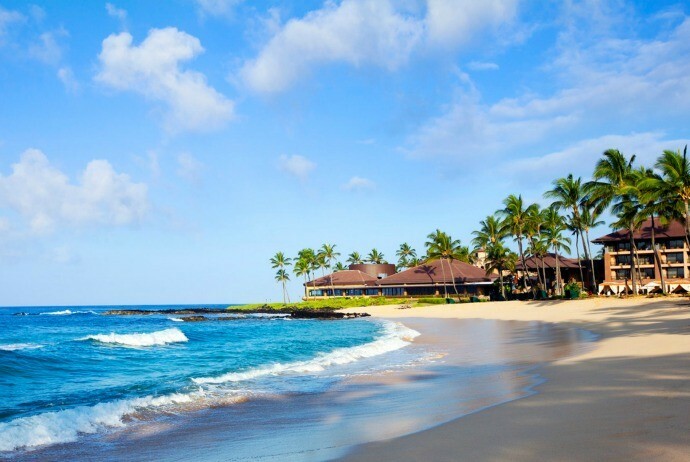 Check in your hotel (as your choice), say goodbye to the tour team and enjoy your spare time at beaches. This tour from Saigon (Sài Gòn) is designed for riders with limited time for travel in the southern area of Vietnam could help more deep experience of Mekong Delta and an opportunity to enjoy ideal motorbike ride on the coastlines. 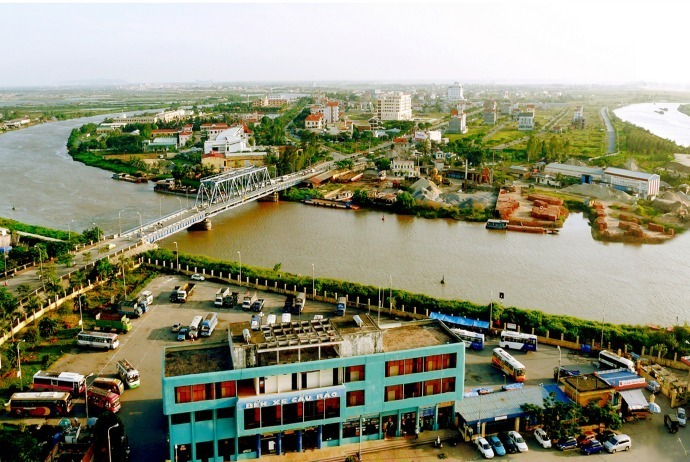 Start from 8 am, you depart from Ho Chi Minh (Hồ Chí Minh) City to Chau Doc (Châu Đốc), which is a busy town located in western side of Mekong River Delta. The ride will promisingly be great offering funny experience about the busy traffic in Vietnam. Additionally, some parts of this ride also offer great views of large rice fields. You will travel about 220 km on this tour day. Arrive at Chau Doc (Châu Đốc) at about 5pm and stay overnight in a hotel. 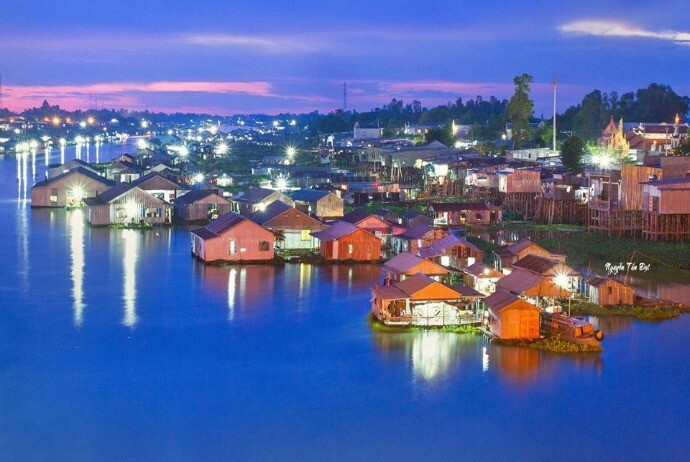 Prior to take the motorbike tour in Mekong Delta, you will have a one-hour boat trip that takes you to a floating village and visit a Cham village, sarong and mosque workshop before crossing the lower river to Chau Giang (Châu Giang) dist. After that, you ride on the dirt track to Cho Moi (Chợ Mới), pass Hoa Hao (Hoà Hảo) Buddhist holly pagoda. Have lunch in Cho Moi (Chợ Mới), you take a ferry to the island to hit the Monastery built about 120 years ago by the French. Actually, this is the first Monastery building site available in Indochina, built in 184. Head the southeast to the city of Can Tho (Cần Thơ). As the schedule, you will arrive at Can Tho (Cần Thơ) in the late afternoon and check in hotel right then. This ride takes 120 kilometers. 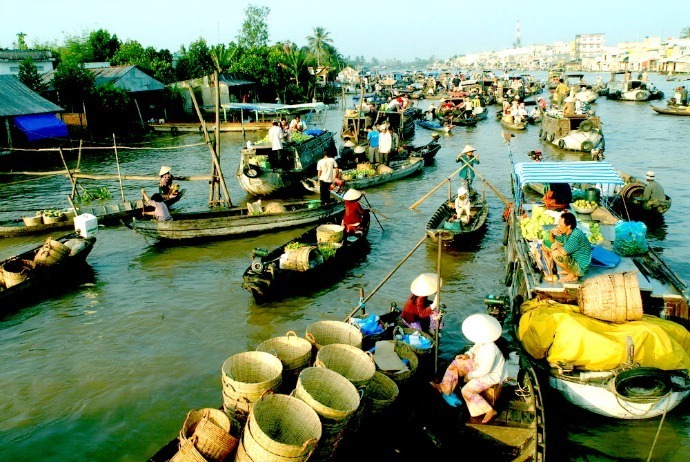 Get up early in the morning to take the boat trip to Cai Rang (Cái Răng) floating market – one of the busiest and most famous markets in the South area of Vietnam – as the market opens extremely early. Then, get back to your hotel to have a breakfast before riding to Can Tho (Cần Thơ) for a quick visit at Can Tho (Cần Thơ) central market plus with Binh Thuy (Bình Thuỷ) ancient house of which the design is a combination of France and Vietnam with beautiful stories and a garden with different fruits and flowers, including a large array of orchids along with a record cactus. Later, take motorcycle through the Mekong Delta to head to Ben Tre (Bến Tre). Complete your day at 4:30 pm at a village in Ben Tre (Bến Tre). There, you will enjoy homestay in a local family. In the morning, enjoy your fast breakfast with the friendly local family. After that, say goodbye to them and take a rowing boat trip on the small waterways. You will be able to enjoy the true life of the Mekong Delta when you visit coconut groves, fruit orchards, bee farm and taste seasonal fruit, enjoy honey tea and coconut candies. Furthermore, if you have a chance, do not skip listening southern Vietnamese folk music. Disembark the local harbor before keeping up the motorbike tour to Vung Tau (Vũng Tàu). You will arrive at Vung Tau (Vũng Tàu) in the late afternoon, check in your hotel and stay overnight there. Have a breakfast in the morning before paying a visit to Long Phuoc (Long Phước) Tunnels and Minh Dam (Minh Đạm) mountain. Later, ride up to Phuoc Hai (Phước Hải) hamlet, one of the nicest coastal road motorbike tours in Vietnam. The road is between beaches and mountain. After having lunch in Phuoc Hai (Phước Hải), you move on coastlines passing Loc An (Lộc An) quiet pine forest. You then go to Binh Chau (Bình Châu) hot spring to take a mud bath and relax on the lake. 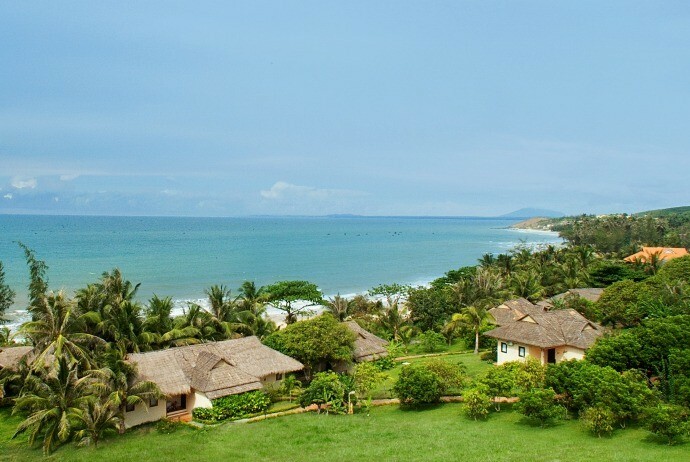 In the afternoon, enjoy a great motorbike ride to Mui Ne (Mũi Né) beach. Complete your tour on the coastal roads in southern area of Vietnam by having an enjoyable, relaxing swim at the beautiful Mui Ne (Mũi Né) beach. 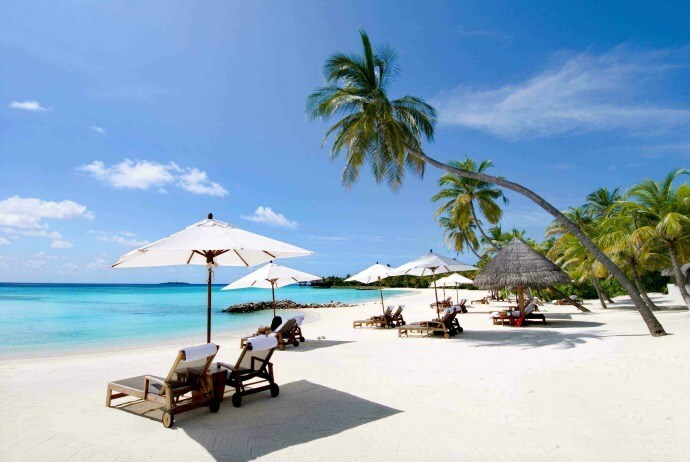 Choose a small hotel which is close to the beach to check in your room. After having your breakfast, you back on the bike and ride towards to renowned Mui Ne (Mũi Né) Cape. While being on the way, you can pay a visit at Fairy stream and stop to explore Mui Ne (Mũi Né) fishing village and enormous red sand dunes. Keep moving on your tour to Ho Chi Minh (Hồ Chí Minh) City and stop at some fishing villages along the way to know how local fishermen do their daily work, including net fishing, fish selling and fishing net mending. You will be back to Ho Chi Minh (Hồ Chí Minh) City and complete your motorcycle tour at approximately 5 pm. The tour lasts for 7 days, departing from Saigon (Sài Gòn), officially known as Ho Chi Minh (Hồ Chí Minh) City. This is one of the best collective motorbike tours on the coastal roads and highlands Vietnam. 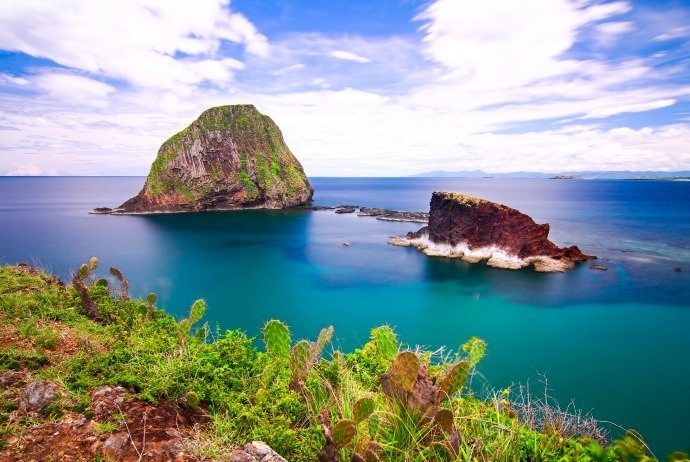 In the tour, most of the roads are recommended by locals, offering nice coastlines and cross through interesting and famous attractions in the south area and central highlands. 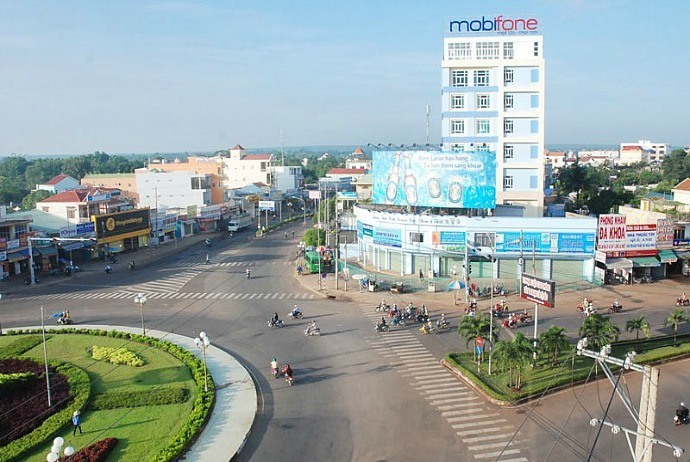 The tour will finish in Dalat (Đà Lạt). The ride takes 140 kilometers. Start your tour from Ho Chi Minh City at 8:30 am. Then, hit the road to La Gi town before visiting Thuong Chieu (Thường Chiếu) Monastery, Minh Dam Army Base, and dip your whole body in hot water springs – Binh Chau (Bình Châu), get to know more about Buddhism when visiting Long Ban old pagoda along with the historic Dinh Mountain. Have an overnight in the hotel next to Long Hai (Long Hải) Beach. With this short ride, you can experience one of the best Vietnam motorbike tours on coastlines. Along the way, take some stops to visit Champa’s temples and villages to understand more about the history as well as culture of the Cham (Chăm). Complete your short tour by having a swim at the beautiful beach of Mui Ne (Mũi Né) – which is confirmed as one of the best beaches in Vietnam. Stay overnight in hotel. The 160kim ride requires you to start from the early morning, head up to some rustic fishing villages, enjoy great time with fairy springs, amazing red and white sand dunes, and communicate with local farmers to get to know more about their daily activities of planning dragon fruits. Continue the tour to the Central Highlands. Stop in a K’ho ethnic village to learn about their special culture and the lives of hill tribes in Central Highlands. You will arrive in Bao Loc (Bảo Lộc) after paying a visit to Dambri waterfall with 90 meters in height. Stay overnight in Bao Loc (Bảo Lộc). Motorcycle to Dak Mil and the ride today will offer you many chances to visit green tea farms, colorful Di Linh Market with a wide range of interesting things about culture and custom of hill tribes, enjoy the hospitability of E’de hill tribe by taking a visit to their beautiful wooden long houses. You then could have a short trek through beautiful rainforest to witness the hidden of that area. As the schedule, you will arrive in Dak Mill at about 5pm. Stay overnight in hotel. In the 5th day of the 7-day tour, you will have an enjoyable motorcycle tour in Central Highlands of Vietnam. 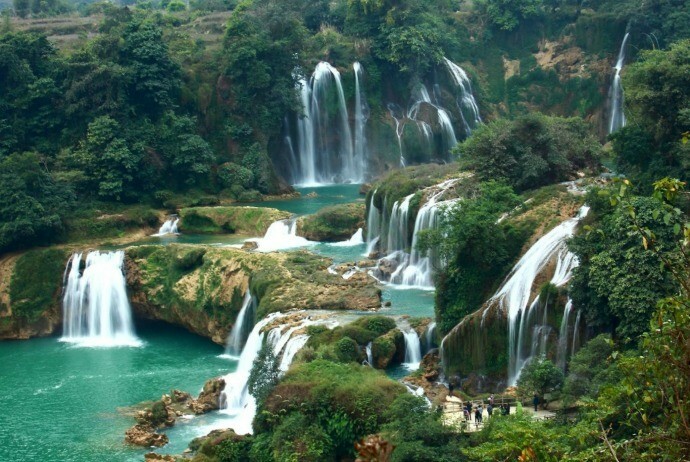 You will ride through the Dray Sap (Dray Sáp) along with Dray Nur waterfalls (one of Vietnam’s most impressive waterfalls) before having a great Ho Chi Min (Hồ Chí Minh) trail motorbike tour up to the northern side of Lak Lake. The ride on Ho Chi Minh (Hồ Chí Minh) trail will offer a lot of historical sites plus with breathtaking beauty of the nature around the areas, you could have a few stops at several roadside villages in order to learn how to local people make noodles, rice papers, or get to the top of the elephant mountain to witness panoramic views of the area. After that, travel to Lak Lake before the sunset to take some shots of M’nong Ethnic minority’s fishermen. Stay overnight in Lak Lake. You could opt for doing homestay or staying in a guesthouse. It takes 195 kilometers to travel from Lak Lake to Nha Trang on this tour. 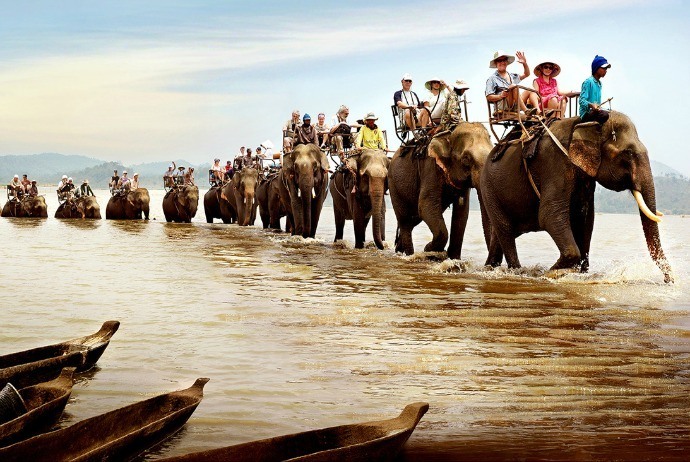 You could have a boat ride or ride an elephant in order to cross the Lake. Then, have a short walk to the M’lieng and M’nong people’s villages to understand about the culture of hill tribes in Central Highlands. See how locals make incenses, chopsticks. Continue the tour on Phoenix Pass’ stunning mountain roads. Then, stop for a quick visit at the natural hot water springs to contemplate the beauty of the nature around. You will arrive in Nha Trang at 5 pm or so, and check in the hotel. In this last day of the Southern Vietnam motorbike tour, you start a little bit lately with the relaxing ride via peaceful countryside of mountain areas, explore daily activities as well as cultures of various ethnic minority groups. Discover daily lives of farmers cultivating goods on lands like coffee, flowers, mushrooms, and tea. Then, you motorcycle up to Dalat (Đà Lạt) before arriving in the town and stop your tour on at about 4 pm. Later, check in your chosen hotel and say goodbye to the tour guide. When it comes to Vietnam motorbike tours, what would you expect? Getting away from the hustle and bustle of cities like Hanoi or Saigon, discovering the history, culture and hidden beauty of Vietnam, heading to one of the remotest and most peaceful regions of Vietnam? You could enjoy all with this tour from Hoi An (Hội An). In addition to riding motorcycle on scenic roads, this tour also gives you a chance to visit many historical sites where you could learn about the war history of the country. In the first day of the 8-day tour, you will travel about 130 kilometers. The tour guide team will meet you at 8 am, start your tour after wearing helmets, fitting the bike and strapping bags. You will head up to the north area of Hoi An (Hội An) to stop at Marble Mountains, explore pagoda, caves on the mountains and sculptures made by hand from passion stone. You then will be taken along My Khe (Mỹ Khê) beach which used to be voted as the nicest beaches in the world. Head to Hai Van pass to admire beautiful panorama and contemplate Vietnam’s most beautiful scenery. After that, go down the mountain to see Oyster farms and visit amazing lagoon. You could select your favorite foods for lunch on a floating restaurant or on the beautiful beach. After that, ride along many quiet roads there, stop to see mushroom farms, see farmers working with beautiful scenery and fresh air and stop to take photos through Tam Giang lagoon with great views before heading to Hue. Stay overnight in the hotel. Today, you will have a long ride and it should be a highlight of this Vietnam motorbike tour. It offers many stops at historical relics located beside coastline motorbike ride and Ho Chi Minh (Hồ Chí Minh) roads. The first stop is in Quang Tri (Quảng Trị) citadel which was suffered from firebombing through 81 days and nights in 1972. Then, follow the small roads via rural area before heading to Vinh Moc (Vịnh Mốc) Tunnels, in which an entire village was underground in 1960 in order to survive bombing. There are interesting things for you to explore, such as kitchens, wells, rooms for each family. Then, visit Hien Luong (Hiền Lương) Bridge which was the borderline between Southern and Northern Vietnam in 1954. In the afternoon, you will start your Ho Chi Minh motorcycle tour on the eastern side before arriving Phong Nha – Ke Bang (Phong Nha – Kẻ Bàng) National Park. Stay overnight in the guest house. It is really an enjoyable day for you to explore Phong Nha (Phong Nha) National park. In the morning, take a ride to the Paradise limestone cave, the longest limestone cave of Asian. After having a traditional lunch of Vietnam at a restaurant around National Park, you could win in Chay (Chày) River or wander around grotto systems. Phong Nha National Park has 85,754 hectares and consists of aquatic and terrestrial habitats, forest, sites of the natural regeneration, savanna and tropical dense forests. This park is rich in spectacular, large caves. Despite it is short to spend a single day here, and you will still have great experience there, making this motorcycle tour more interesting. As the specialist for motorbike touring in Vietnam, the tour guide will take you on the remote western branch of Ho Chi Minh (Hồ Chí Minh) Highway via majestic limestone karst and magnificent old-growth jungle. To be honest, it is hard to describe the actual interest on this ride on Ho Chi Minh (Hồ Chí Minh) trail by words. I am sure that once being on the road, you will wish it has been longer. Khe Sanh museum built on the former battle field is another highlight making this become an impressive among Vietnam motorbike tours. After leaving Khe Sanh (will continue the tour on Ho Chi Minh trail. Today, you will be able to visit many hill tribes along the trail, stop for having a swim in waterfalls before visiting minority village near the Ta Rut town. 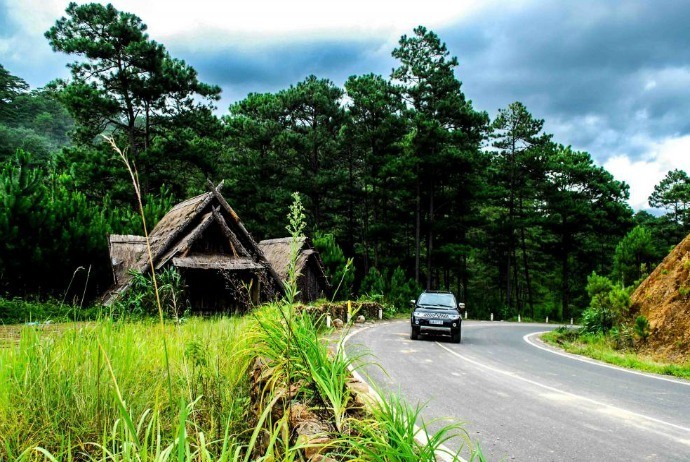 You will visit the villages of Pa Co (Pa Cô), Co Tu (Cơ Tu) minority people and go through one of the longest and most impressive passes in the country whilst traveling on a quiet road, spectacular scenery of primitive forests in Truong Son Mountain range. There, you will be surprised with the mountains, jungle as well as the quietness. Stay overnight in the guest house. With this Central Vietnam tour, you will keep riding on Ho Chi Minh (Hồ Chí Minh) road to head up to the highlands where you could learn about the Vietnam War before 1975. Then, visit some interesting villages of ethnic people and enjoy breathtaking nature of this area. Along the way, you can visit other villages of ethnic people like Ba Na, Xo Dang (Xơ Đăng), etc to get more interesting information about their culture and tradition. 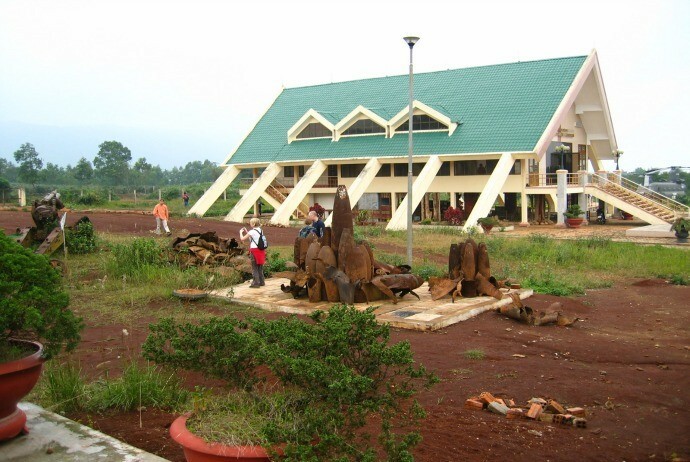 Stay overnight in a hotel in Kon Tum. Another big day of this tour is the 7th day offering different things as well as views from what you have gone through on previous days because you will no longer ride on Ho Chi Minh trail anymore but riding mostly on mountain passes and countryside back-roads as well. 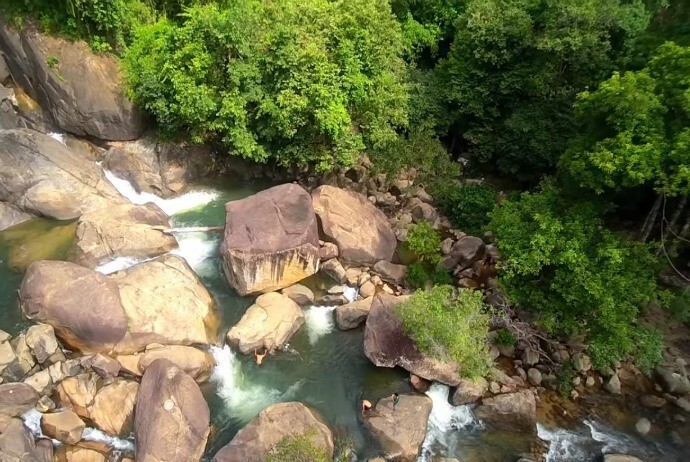 You will visit Mang Den (Măng Đen) waterfall, stop for a short relax and have a swim, motorcycle through hill tribe villages and cross Violac pass of 1,300 in height. It is a border of Quang Ngai(Quảng Ngãi) and Kon Tum, and also another highlight of the motorbike tour departing from Hoi An. Stay overnight in a hotel. Today, you will motorcycle on a ride of 180 kilometers. Start this busy day from early morning to visit historical sites and cross the water by ferry. My Lai (Mỹ Lai) village is the initial stop, in which the American troop had a mass killing of between 504 and 347 unarmed civilians in South Vietnam in 1968. Then, you will ride on the coastlines, crossing by a local ferry go on a small island and then small roads along the seaside prior to going to Danang (Đà Nẵng). You will finish your tour in Danang or Hoi An (Hội An) at about 4:30 pm. This is among the best motorbike tours in the southern area of Vietnam, during 7 days, you will see many outstanding attractions in Ho Chi Minh (Hồ Chí Minh) City and nearby area with the sea of rice, floating markets, boat cruises known as the specialty in the southern area of Vietnam. 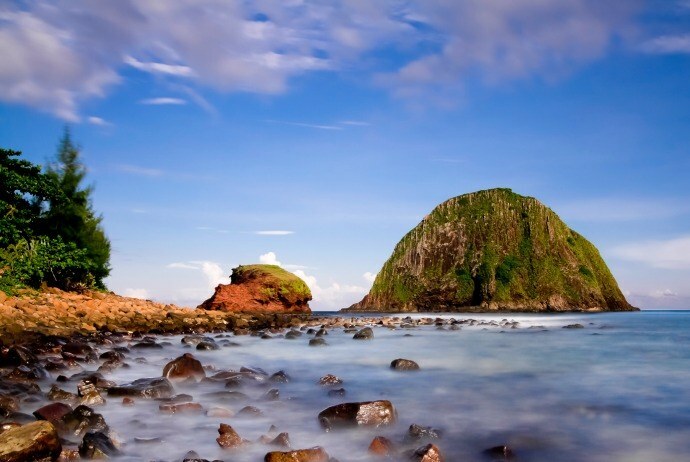 In addition, you will also have glimpse of Vietnam’s central highlands, and particularly a big chance to have a motorcycle ride on the coastal roads and enjoy one of the most interesting and beautiful beaches in the country. Depart from the city center of Ho Chi Minh (Hồ Chí Minh) City at 8 am; after getting out of the busy city, you will ride through the peaceful but rustic villages. Along the way, the scene changes from busy streets with high buildings and noise to picturesque, peaceful rice fields with cottages as well as small houses. Similar to many other Mekong Delta Motorcycle tours, this ride today will let you get into the heart of the rice sea. After having lunch, you ride then go along Tien (Tiền) River’s bank to taste and feel the real beauty and culture of Vietnam, with orchards, rice fields, ducks, water buffalos, and cute kids along the road waving their little hands while saying “Hello”. In the later afternoon, you will arrive in Cai Be (Cái Bè) before taking a boat trip with the bikes along to head to a peaceful village featuring houses of hundred year old where you will stay overnight in. Begin your day with a cup of local coffee and traditional cake for breakfast. 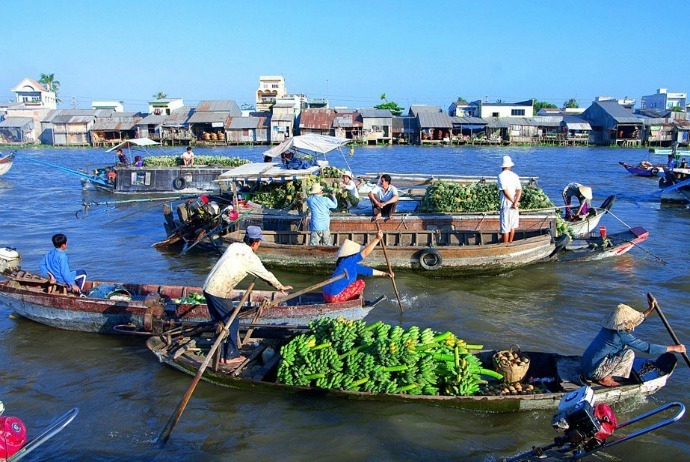 Continue your tour in Mekong River Delta by rideing through villages and have a short cruise on the Tien (Tiền) River to see the most special floating market in the southern area of Vietnam. Disembark in the city of Vinh Long (Vĩnh Long) where you will have lunch and then head to the south to the city of Can Tho (Cần Thơ). It is a short but impressive motorcycle ride (90km) with peaceful scenery. Stay overnight in a hotel in Can Tho (Cần Thơ). Start your 215 km ride after having a breakfast, and then go to Ninh Kieu (Ninh Kiều) Pier to have a boat trip to the famous Cai Rang (Cái Răng) floating market, which is one of the most impressive, busiest fruit market in the country, even in Southeast Asia. You will enjoy a long distance cruise plus and then walk on a smooth road contemplate the beautiful scenery and get closer to local people as well as their daily routine. After that, you will have visit Can Tho Central Market before heading to Binh Thuy (Bình Thuỷ) ancient house of which the design is a combination of France and Vietnam architecture. There you will find a variety of fruits and flowers, including various orchids and record cactus. Later, after having lunch, you enjoy a motorcycle ride back to Ho Chi Minh (Hồ Chí Minh) City on a highway. In 5 pm, you will arrive in the city. Hotel stays in the city. This is a promisingly long ride of 250 kilometers. The motorcycle tour to Dalat is really a highlight of this trip because you will ride through a lot of coffee and tea plantations to head to the hill station of Dalat (Đà Lạt), which is known as the “city of Eternal Spring” – Sapa of the southern area of Vietnam. The ride is long yet the views you are going to see are surely fantastic. 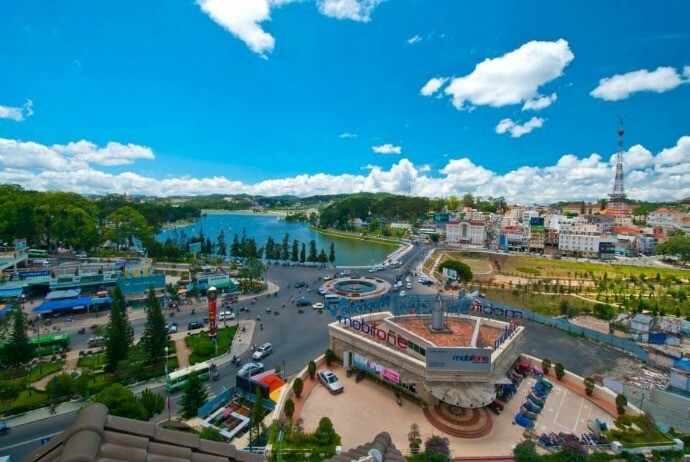 After arriving in Dalat (Đà Lạt), you could soak yourself up the cool climate and spend your time on wandering around and catching your first glimpse of the town. France’s influences is evident here, in both culture and architecture aspects because this town was founded as a great hill treat for colonials to go away of the oppressive heat in the chaos of Saigon or coastal plains. This town is charming and set around a romantic lake and surrounded by waterfalls, forests, and rolling countryside. Also known as the ideal destination for newly wedding couples, Dalat (Đà Lạt) will particularly impress you from the first sight. Stay overnight in a hotel in Dalat. Today, you will go through an enjoyable motorcycle ride via charming pine hill to the summer residence of the last emperor Bao Dai (Bảo Đại) of Vietnam. This mansion represents a lovely collection of Vietnam’s treasures. You will follow it by a trip to sacred Lam Ty Ni Pagoda along with Hang Nga (Hằng Nga) Guesthouse. The establishment is known as the crazy house due to the bizarre architecture of itself. The central market nearby plus with the old rail station are what you will visit before riding through undulating terrains to Mui Ne (Mũi Né) town – a picturesque coastal town. This tour on coastline in the southern area of Vietnam gives you a lot of chances to contemplate sandy beaches like Ca Na (Cà Ná) beach and visit several fishing villages. Try to be in Mui Ne before the sunset in order to get the chance to take some wonderful pictures. Later, tourists can stay overnight in a hotel in Mui Ne (Mũi Né). It just takes 40 kilometers for you to travel in the 6th day of the tour. 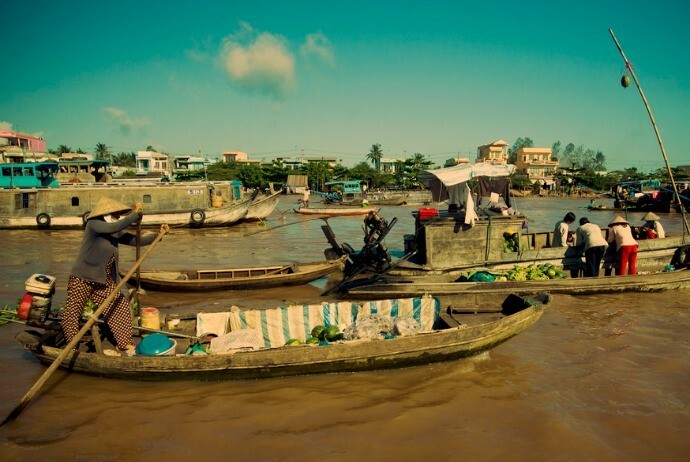 Being a truly relaxing day, you will head to Phan Thiet (Phan Thiết) to visit some fishing villages to get to know more about the daily activities of locals, learn how people there make a fish net and learn how they earn a living with the help of a boat and net, visit Fairy stream or take pictures of sand dunes. In the late afternoon, you could be free to do what you want at beach after checking in your room in hotel. The last but not least interesting day of the tour is when you come back from Phan Thiet to Saigon (about 230 kilometers in length). Before the long ride back to Ho Chi Minh City, you will have a short ride to pay a visit to Duc Thanh (Dục Thanh) School – which is known as the first school established in Central Vietnam where the Uncle Ho used to be a teacher there. You then will stop a little bit to take some photos of the Mekong River Delta motorbike tour or visit a few special and beautiful pagodas, temples to learn about local religion. Tourists will back to Saigon at about 5 pm. This is a 5-day motorcycle tour from Ho Chi Minh (Hồ Chí Minh) City, which is one of the best short Vietnam motorbike tours available. Within just 5 days, you could have many chances to witness different parts of Vietnam and its beauty, and be far away from the hustle and bustle of Saigon (Sài Gòn). Moreover, it also offers you some great motorcycle ride on the coastal roads in the last day of the tour. In the first day of the tour, you will motorcycle about 110 kilometers. Start from 9 am at the city center of Saigon, you will be at Cu Chi (Củ Chi) tunnels after about 2 hours of motorbike ride, then spend 2 hours to discover the tunnels and discover more about Vietnam War’s history. After having lunch, you keep riding via some large rubber tree gardens to the Dong Xoai (Đồng Xoài) town where Ho Chi Minh trail ends in the southern area of Vietnam. Have dinner and stay overnight in a hotel in Dong Xoai (Đồng Xoài). After having a breakfast, you will ride a distance of 195 kilometers on Ho Chi Minh (Hồ Chí Minh) trail to head to Dak Mil. During the tour, you can take some visits to beautiful villages, cashew nut factories and Warm Monument as well. Particularly, the trail will take you along Cambodia border. Stay overnight in Dak Mil. Keep riding the tour on Ho Chi Minh trail and have a few stops at villages of hill tribes, including Bana and M’nong. Then, pass several beautiful waterfalls with a green water pool in which you could have a great experience of swimming. After having a picnic lunch at a certain waterfall of your choice, you motorcycle to Lak Lake – the 2nd largest lake in the country and spend the remaining time of the day on enjoying the activities involved with this lake, be it hunting pictures of sunset or swimming. Stay overnight in a stilt house which is nearby the lake. 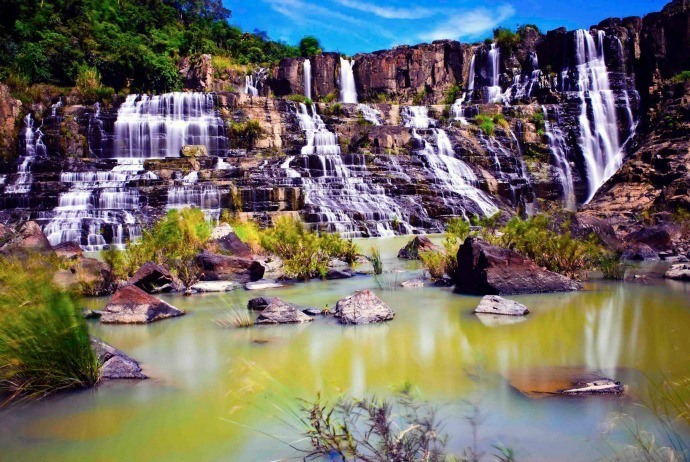 Though this is short motorcycle tour to Dalat, it ensures you will have a lot of opportunities to visit flower gardens or mushroom farms, waterfalls. Also you can have a short trek to the jungle or go cross the lake by elephant or by boat. Stay overnight in a hotel in Dalat. This is an easy ride to Nha Trang. Most of the rid is on smooth and big road, except the small “Monkey Bridge” after Dalat (Đà Lạt) town. Have some stops to visit the palace of King Bao Dai or peaceful hill tribe villages along the way. The 5th day of this tour will end at about 4:30 pm in Nha Trang. You then will say goodbye to the tour guides and enjoy your free time to relax at one of the most beautiful beaches worldwide prior to flying back home or coming back to Saigon. 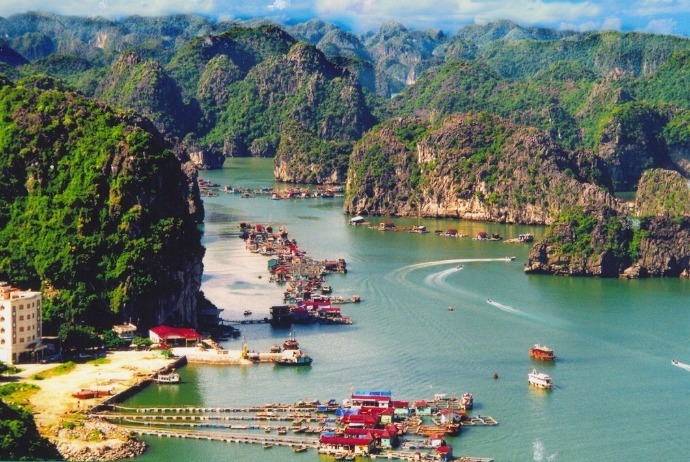 Halong (Hạ Long) Bay is one of the most well-known destinations for travelers in Vietnam. 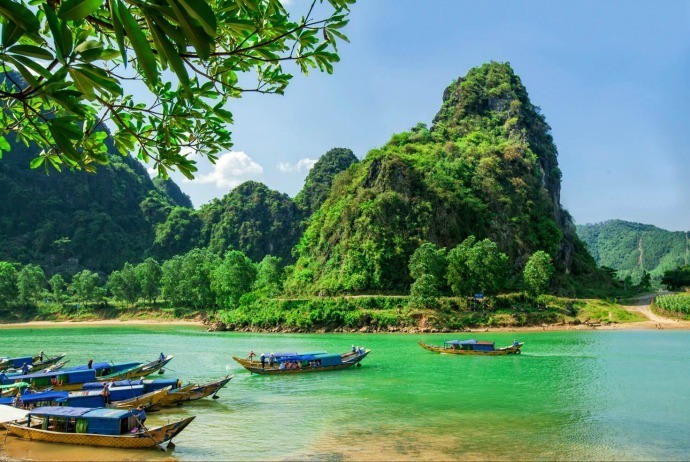 The majorities of tourists go to this bay by bus or car from Hanoi and spend about 2 days of boat trip on seeing small popular corners of Halong (Hạ Long) Bay with fishing floating villages and big caves. The bay is approximately 1.500 square kilometers and big enough to select a suitable part or activity to enjoy. This motorcycle tour to Cat Ba (Cát Bà) and Halong (Hạ Long) Bay Island is specifically designed for travelers who want to contemplate Halong (Hạ Long) Bay in a new way. However, this tour is not suitable for those novices. Start your tour from 8 am and motorcycle to the north east of the capital Hanoi. After riding 15 kilometers, you take a visit to the renowned ceramic village named Bat Trang (Bát Tràng), take a short walk around that village to see locals’ daily life and get to know more about the process of making ceramic. Later, you keep moving to the northeast to head to Hai Phong (Hải Phòng) City. At about 3 pm, you will arrive at a hotel in Hai Phong (Hải Phòng). You could select to see some interesting attractions in this city or take a rest in your hotel. Stay overnight in the hotel in Hai Phong (Hải Phòng). After enjoying your breakfast in the hotel, take a bus to the wharf, followed by a speed boat to Cat Ba Island. After one hour, you will be in that island; right after that you join another boat trip to explore the beautiful Lan Ha bay and the southern part of Halong Bay. Enjoy seafood lunch on the boat. The rest time of the day, you could be lazy down on the sun desk, go swimming at nice beaches, see floating fishing villages or do kayaking via several stalactite caves. In the late afternoon, you will come back to Cat Ba Island. Stay overnight in the hotel in Cat Ba. After having a breakfast in your hotel, you will have a great motorbike tour around the island. Cat Ba (Cát Bà), in essence, is the largest of 366 islands spanning about 260 km2, comprising the Cat Ba (Cát Bà) Archipelago that makes up Halong (Hạ Long) Bay’s southeastern edge. Cat Ba (Cát Bà) island covers a surface area of about 285 km2 and remains the rugged and dramatic features of Halong (Hạ Long) Bay. Commonly, it is used as an overnight stop on the tours to Halong Bay run by many travel agents from the capital of Hanoi. Cat Ba (Cát Bà) is home to the highly endangered Cat Ba (Cát Bà) Langur. It has a wide range of natural ecosystems, both terrestrial and marine, resulting in incredibly high rates of biodiversity. There are various natural habitats found on Cat Ba (Cát Bà) Archipelago, including tropical limestone forests, limestone karsts, coral reefs, mangrove as well as sea grass beds, beaches, caves, lagoons, and willow swamp forests. This island is among the only populated islands in Halong (Hạ Long) Bay, with about 13,000 inhabitants currently living in 6 separate communes and 4,000 other inhabitants currently living on those floating fishing villages off the coastline. This motorcycle ride will offer you a chance to visit some peaceful villages situated between the ocean, beautiful caves and National park. 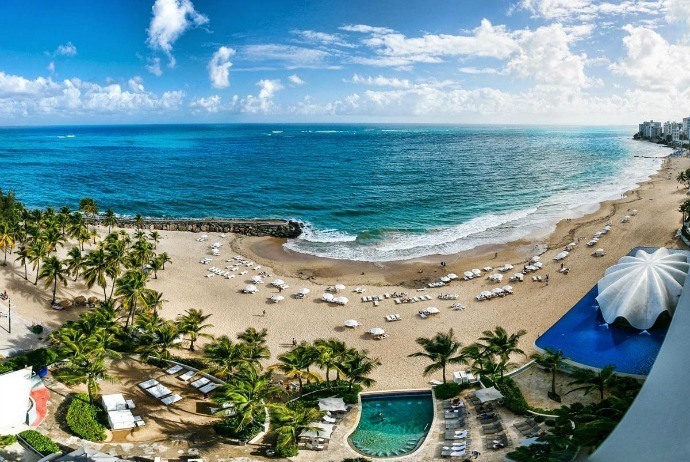 You will finish the tour at noon in the hotel to spend the left time of the day at beautiful beaches nearby hotel. Stay overnight in a hotel in Cat Ba (Cát Bà). In the 4th day of the tour, you will be free in the morning till 10 am. Then, take a short walk to a speed boat wharf and spend 1.5 hours on that boat. After arriving in Hai Phong (Hải Phòng) city, you go straight to a restaurant for having lunch and get your bike to come back Hanoi. You will complete your tour at about 4 pm in the city center of Hanoi. 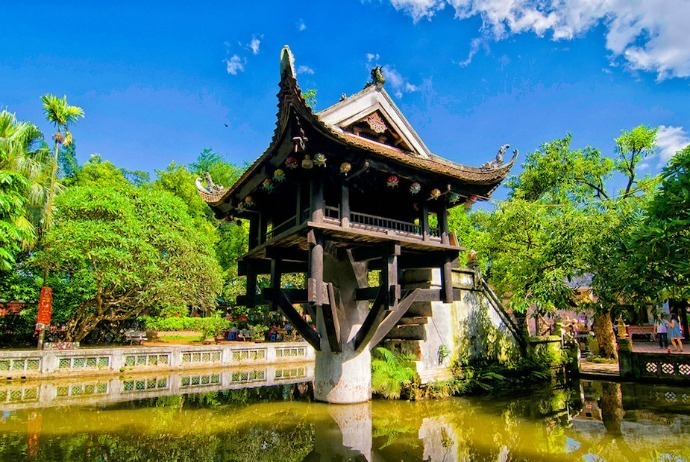 This tour is around Hanoi as well as Bac Ninh (Bắc Ninh) province and offers a chance to visit traditional and beautiful villages in Hanoi and the neighbor province – Bac Ninh (Bắc Ninh0, including Bat Trang (Bát Tràng) ceramic village, But Thap (Bút Tháp) pagoda, and Dong Ho (Đông Hồ) folk painting village. The 1-day tour will allow you to discover hidden charms of Hanoi and surrounds. It is a perfect combination of relaxing and adventure travel. However, this interesting tour is not suitable for those novices as the tour will pass some busy city roads, so those inexperienced drivers, oftentimes novices, should join in a certain tour at the back of motorbikes. 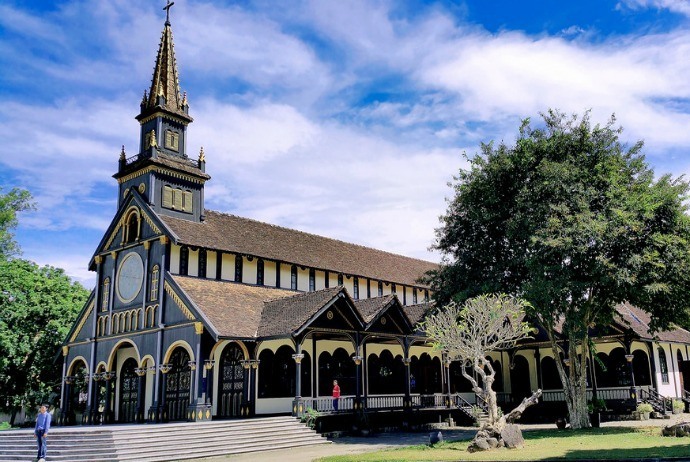 Some highlights of the tour include: learning how to make high quality ceramic products, taking a motorbike ride through rustic villages and rice fields, discovering about the religion and custom of local people living in the Red River Delta. You will depart from your hotel located in the city center of Hanoi at about 8:30 am. The tour guide will pick up you at the hotel and start the tour to the northeast of the capital to hit the Red River dike road in order to visit Bat Trang (Bát Tràng) village. Bat Trang, a small village to the north area of Hanoi, is about 15 km from Hanoi city center, on the other side of Chuong Duong (Chương Dương) Bridge. Bat Trang’s dishes, bowls, vases and many other types of ceramic products have been exported worldwide. After one hour of motorcycling, you will be there, leave your bike in the parking area and take a short walk around that village to get know more about the daily activities of locals and learn how to make ceramic. Even, you could try making ceramic products by yourself in Bat Trang. Next, you get back to your bike and keep riding to Bac Ninh (Bắc Ninh) province through some rice fields and rustic villages. Have lunch in a local restaurant. 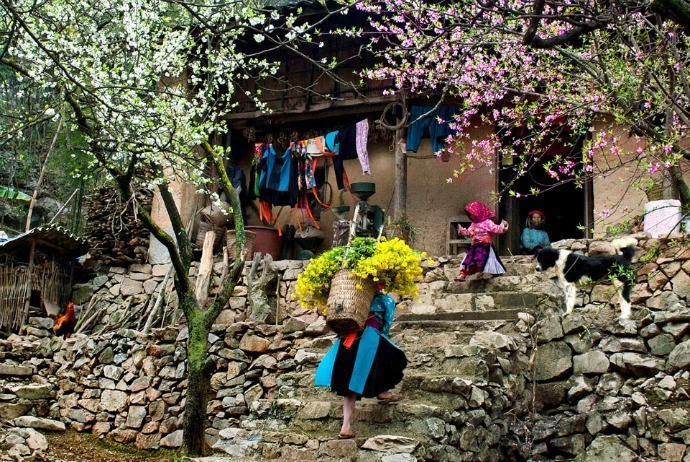 In the afternoon, you will take another walk to the well-known folk painting village named Dong Ho (Đông Hồ) where locals make traditional paintings or folk paintings for decades. Each painting despite looks simple, it possesses a special meaning. Later, you leave Dong Ho (Đông Hồ) Village to head to But Thap (Bút Tháp) pagoda where you could understand more about the belief and religion of local people. After that, motorcycle back to the city center of Hanoi (Hà Nội), complete your interesting tour around Hanoi in your hotel at about 4:00 pm. Hanoi (Hà Nội) with the history of over 1000 years has a lot of historical as well as cultural attractions for sightseeing. This tour around Hanoi is actually a combination of Vietnamese culture discovery and an adventure trip. It is said that this tour is one of the most particularly Vietnam motorbike tours you should not overlook once arriving in Hanoi. Some highlights of the tour: you will visit the famous village producing silk named Van Phuc (Vạn Phúc) and a few beautiful pagodas and temples. It is really a chance to escape from the hustle and bustle of the city. At 9 am, you will depart from your city center located Hanoi to head to Ha Dong (Hà Đông) district, make a turn on a small road to Van Phuc (Vạn Phúc) village located in the southwestern outskirt of the capital Hanoi (Hà Nội). On arrival, park your bike in the proper place and take a walk around the village to witness local people’s daily activities and learn about the process of making good quality silk. It is said that most Vietnamese people know about the reputation of Van Phuc (Vạn Phúc) silk. Nowadays, this village looks like a big market of silk, so it is a good chance for you to shop for good quality cloths at a proper price. 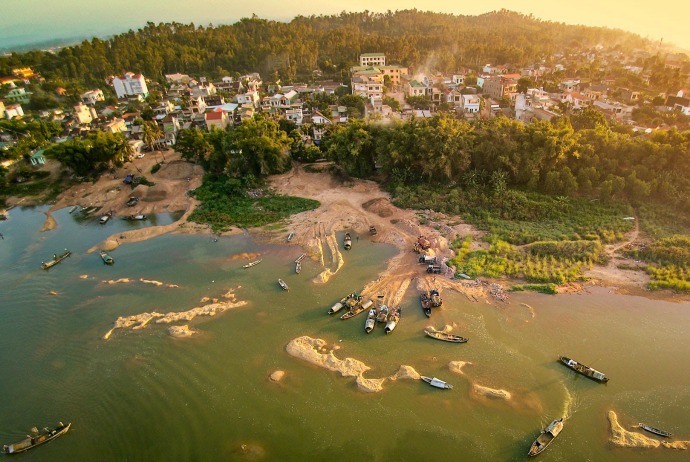 After visiting this village, you ride through some countryside roads to head to Thach That (Thạch Thất) District in order to visit Thay (Thầy) and Tay Phuong (Tây Phương) pagodas. Thay Pagoda was established in the 11th century under the reign of King Ly Nhan Tong (Lý Nhân Tông). This pagoda contains 3 parts: Ha (Hạ), Trung and Thuong (Thượng) Pagoda. The outer part is Ha Pagoda which is a place for ceremonies and offerings. The middle one is Trung Pagoda which is a place for Buddha worship and the inner one is a place for worship of the Priest Tu Dao Hanh (Từ Đào Hạnh). You will have lunch in a local restaurant after getting lot of information about traditional custom and religion of locals. In the afternoon, you will pay a visit to a few rural villages nearby the pagodas where you will never see other travelers. This can be the best opportunity for you to experience the real Vietnam. 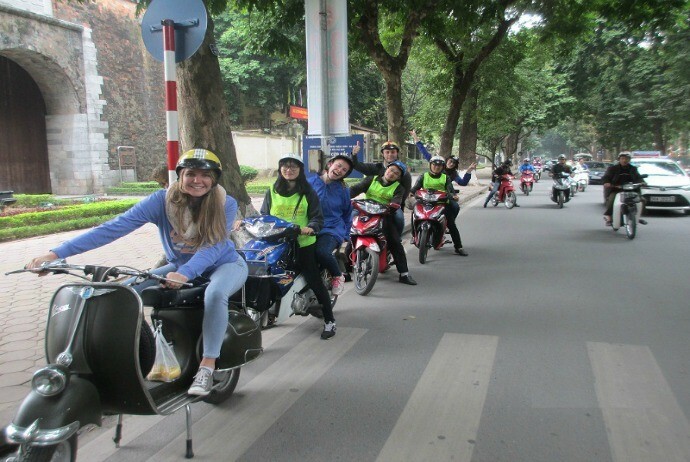 After riding on Thang Long free way to come back to your hotel before the rush hours, you complete your enjoyable Hanoi day tour, at around 3:30 pm. Though there are a variety of Vietnam motorbike tours delivered by tourism agents, the above are 13 out of most noticeable tours by motorcycles in Vietnam you can consider if having a chance to visit this small but beautiful country. Choose the ones that attract you the most, and book as soon as possible!